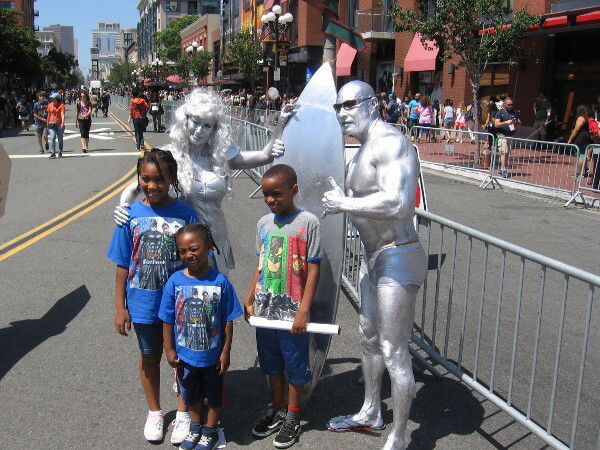 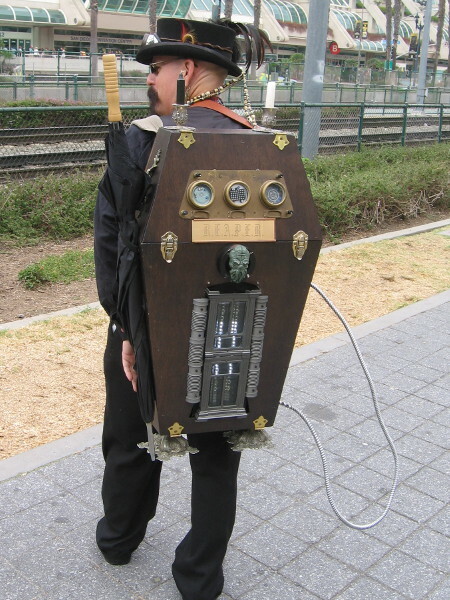 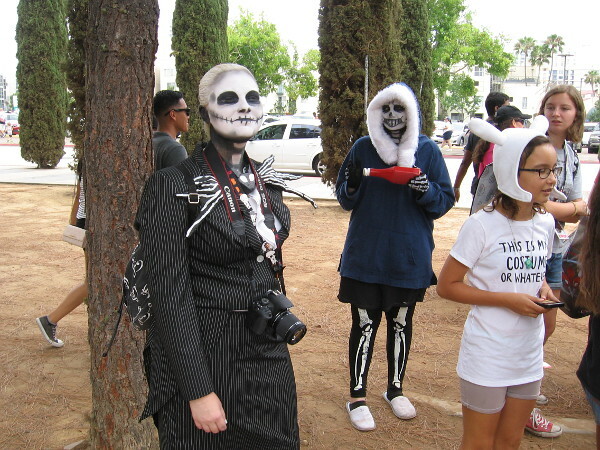 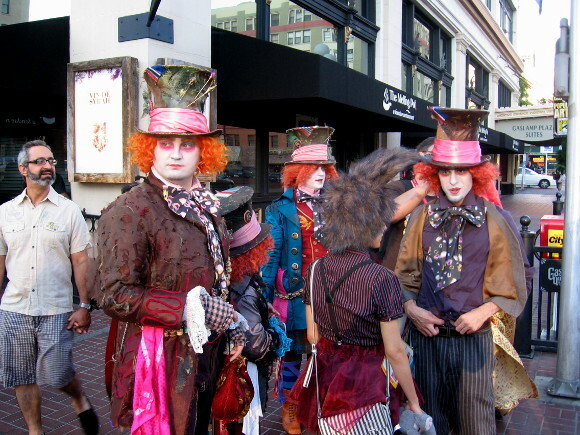 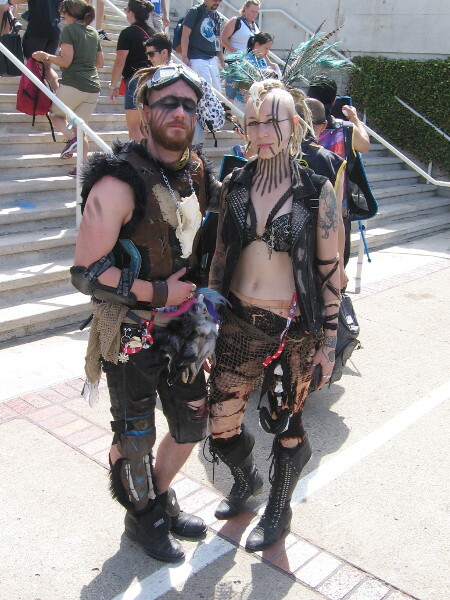 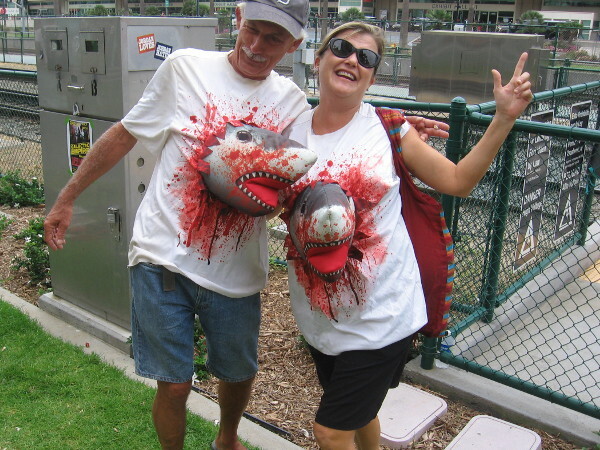 imagination – Cool San Diego Sights! 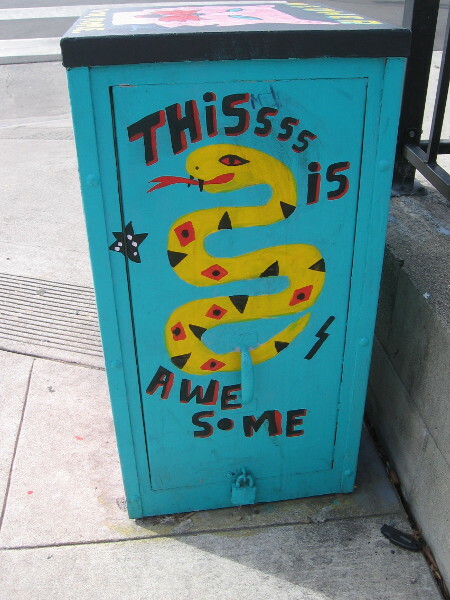 I’ve completed another short story. 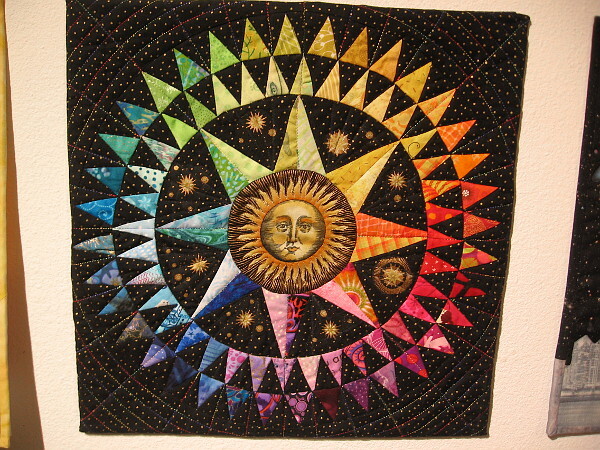 The Star Maker is about the torn pages of one’s life. 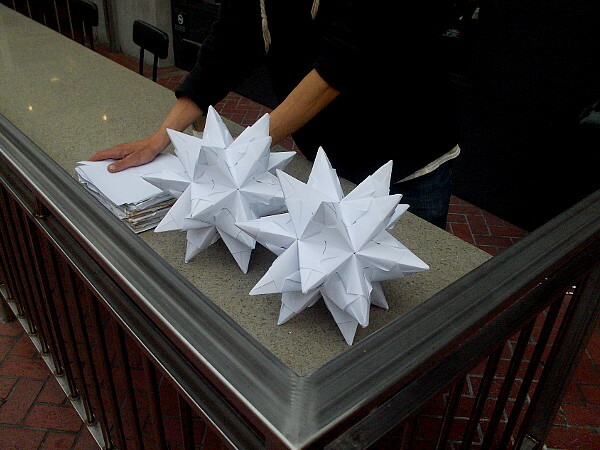 Folded together. 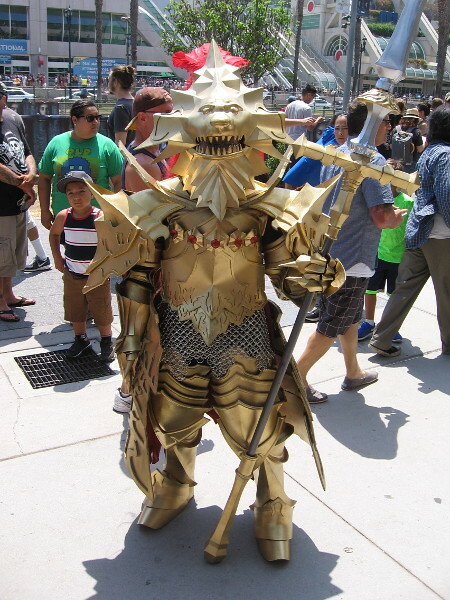 Made into something perfect. 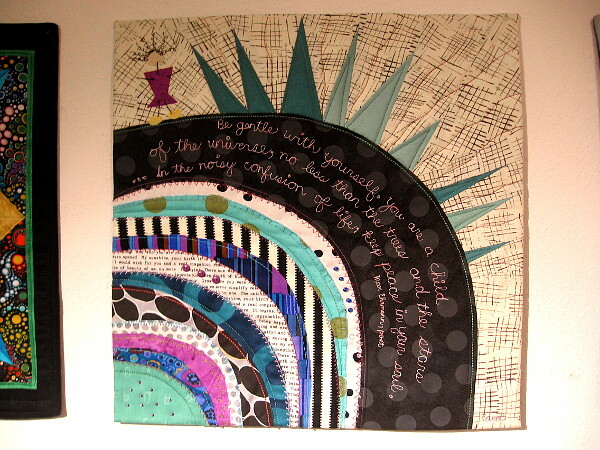 From our own complex stories we create our own stars. 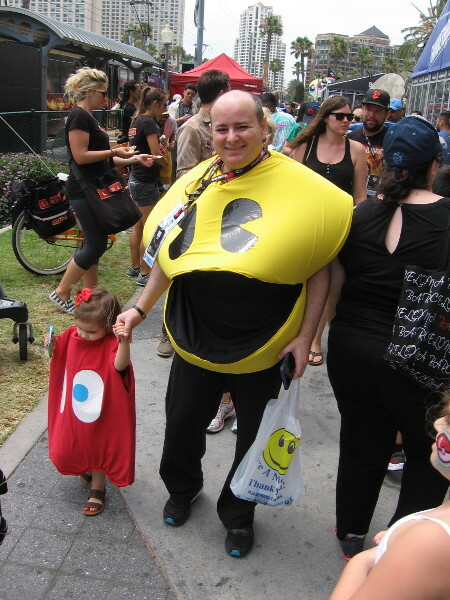 Read the small, surprising story by clicking here. 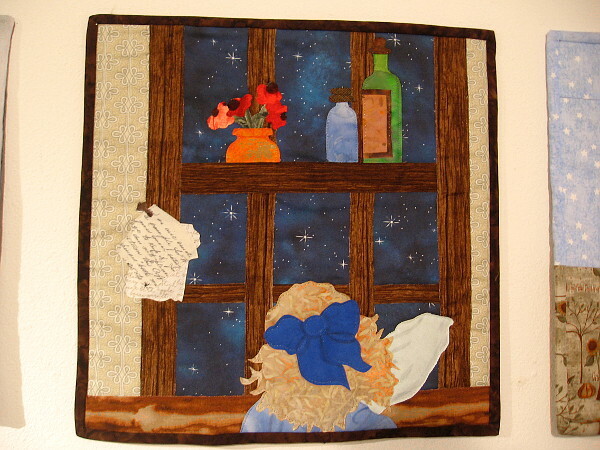 Posted on April 20, 2019 Tags authors, complexity, creativity, fiction, hope, imagination, life, philosophy, short stories, stars, writers, writingLeave a comment on A story about the pages of one’s life. 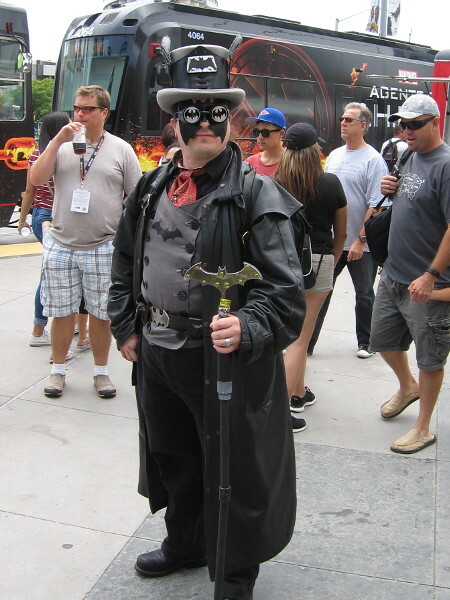 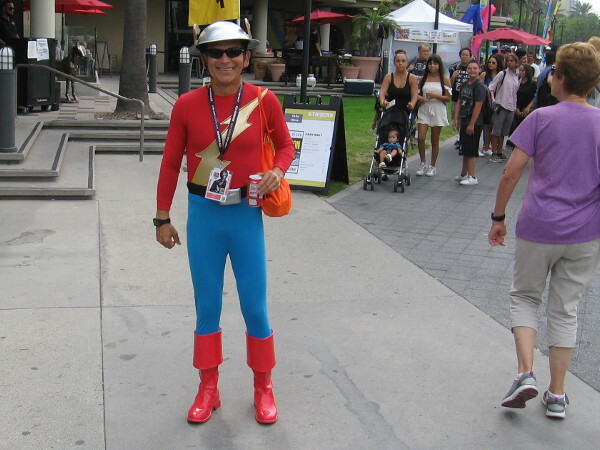 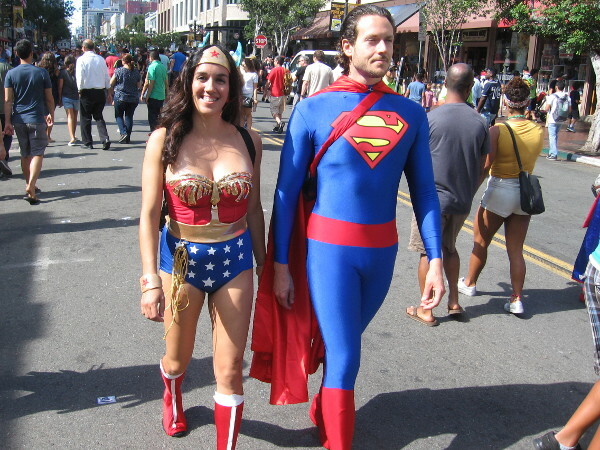 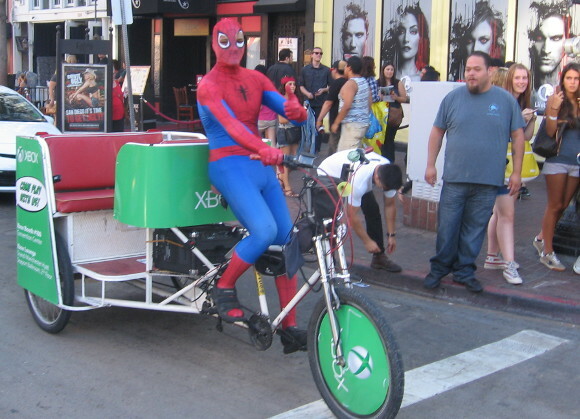 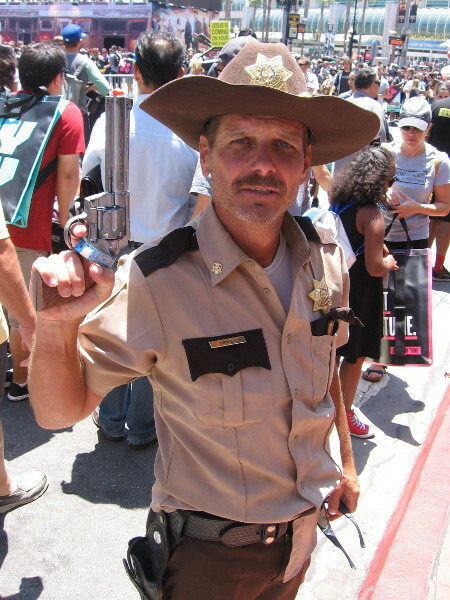 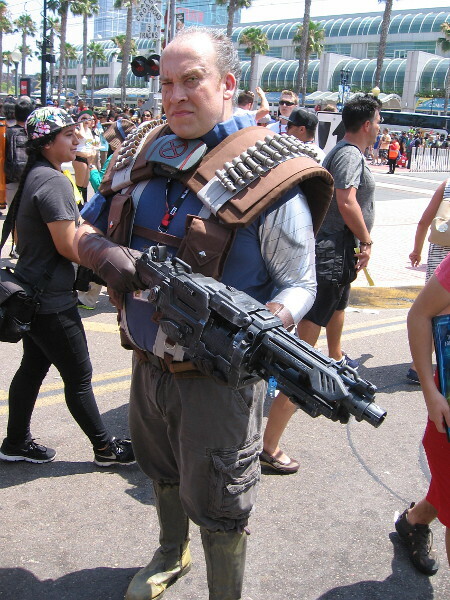 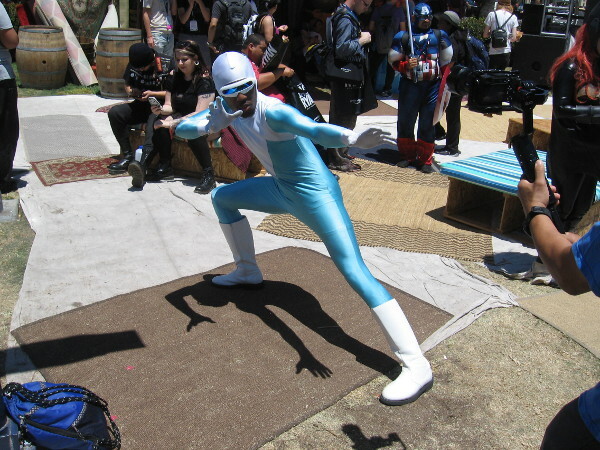 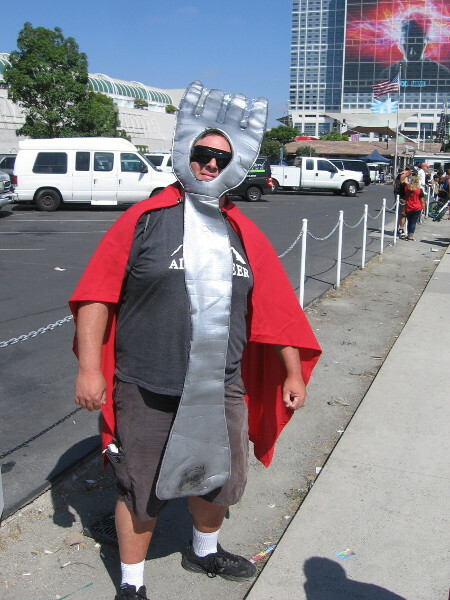 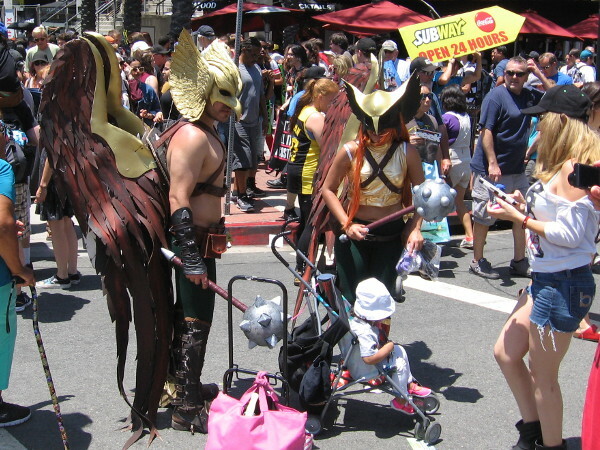 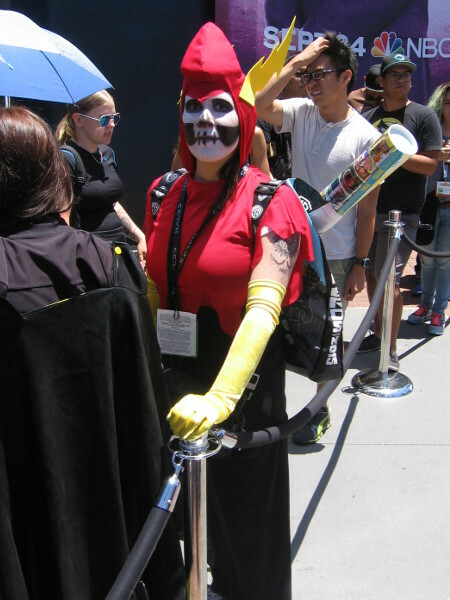 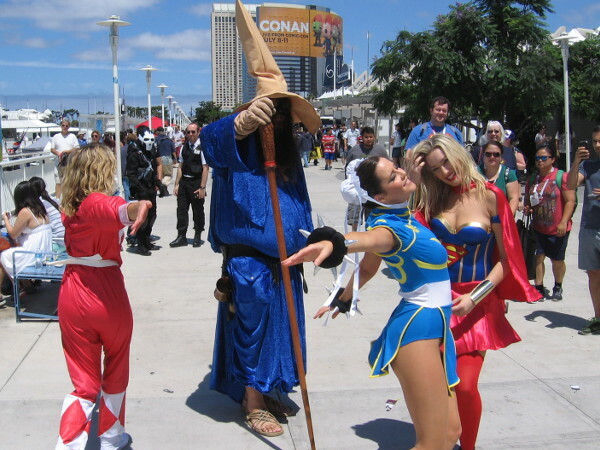 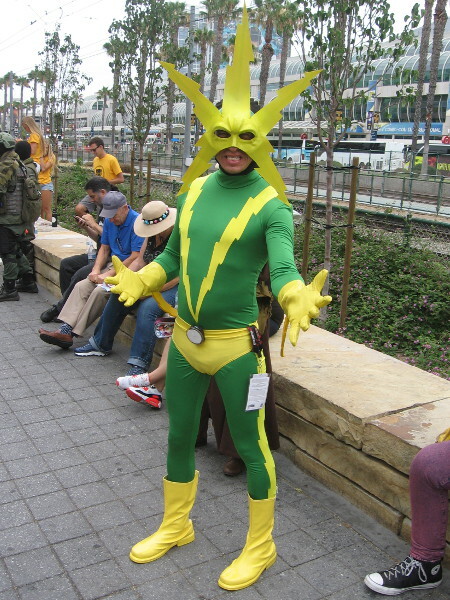 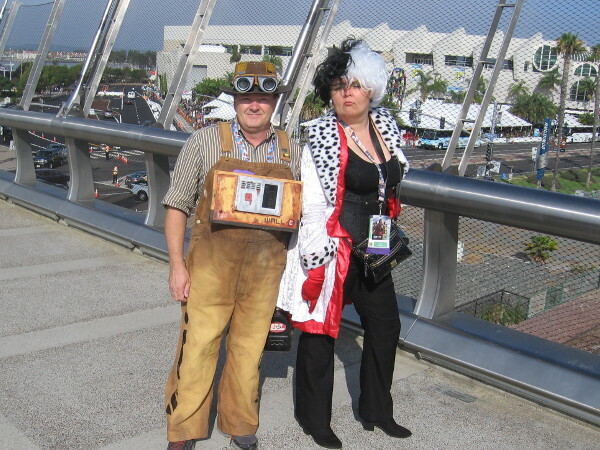 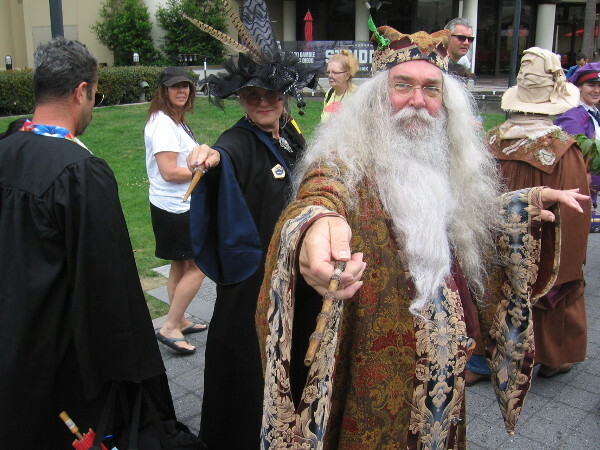 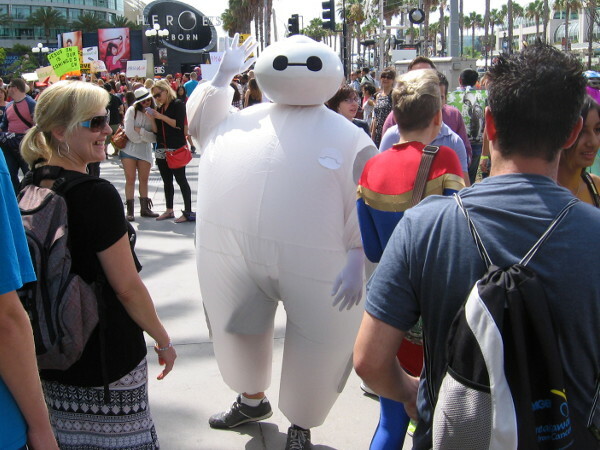 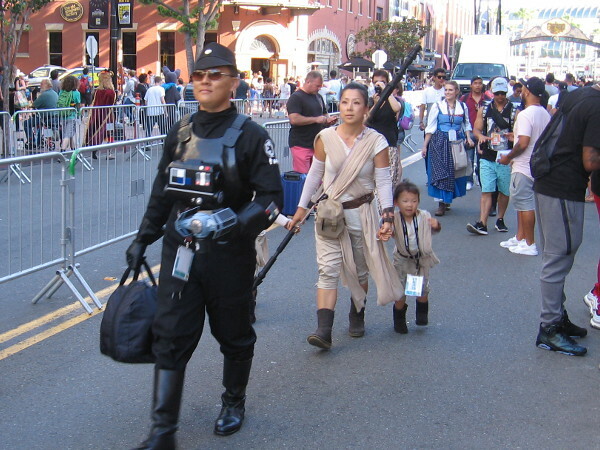 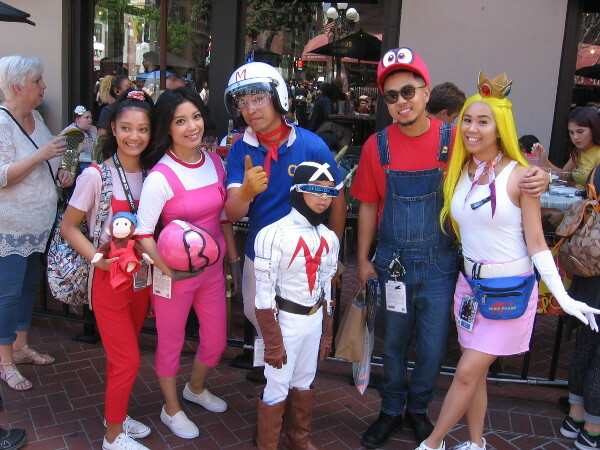 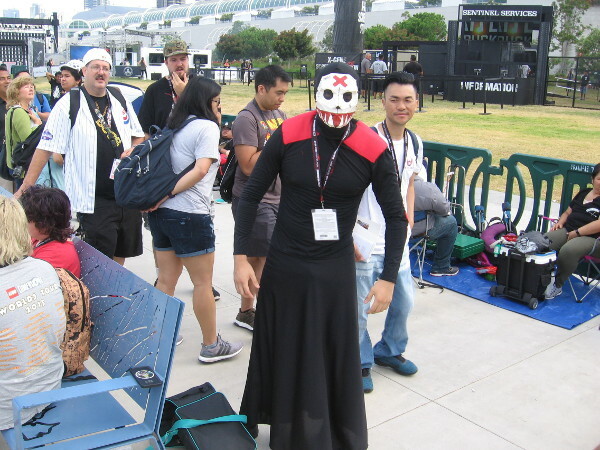 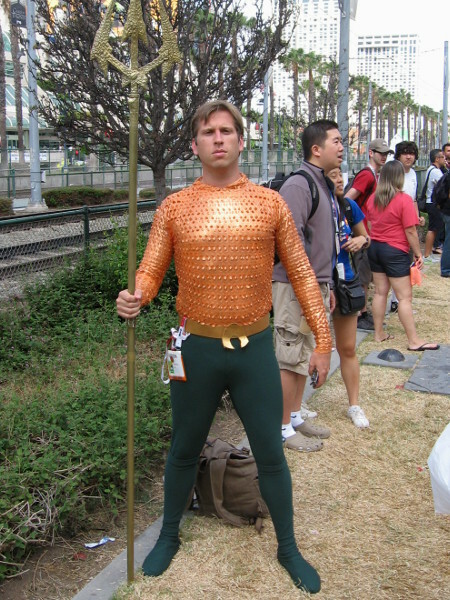 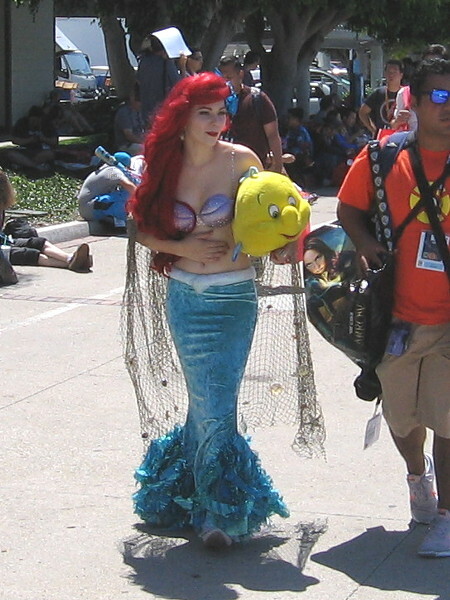 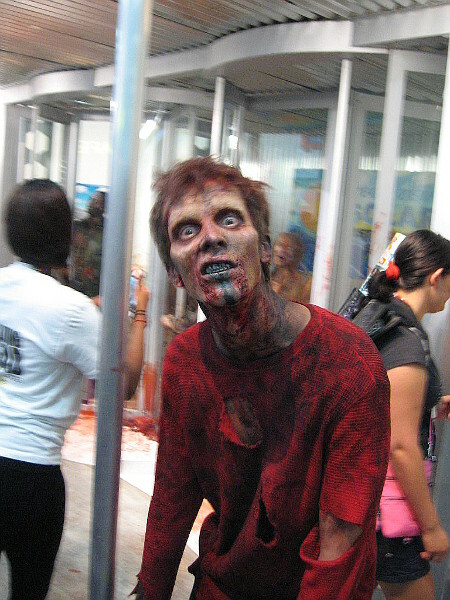 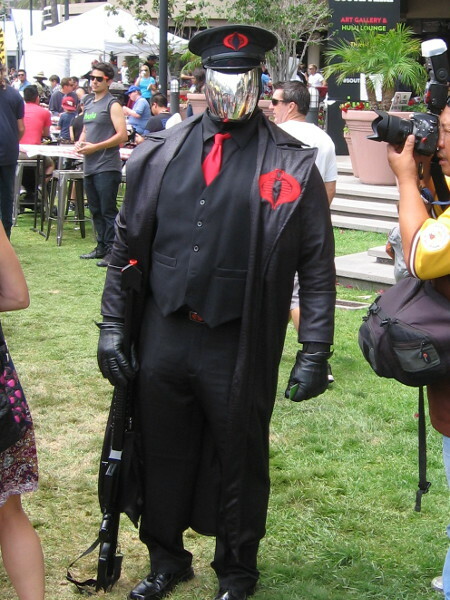 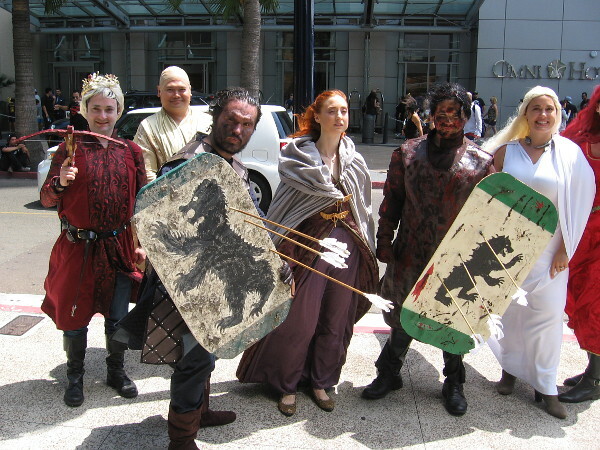 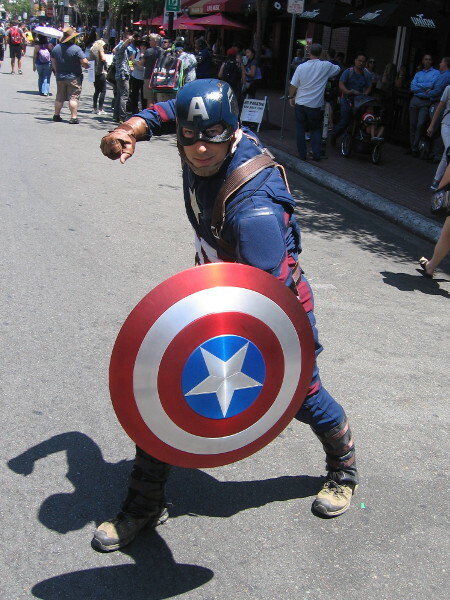 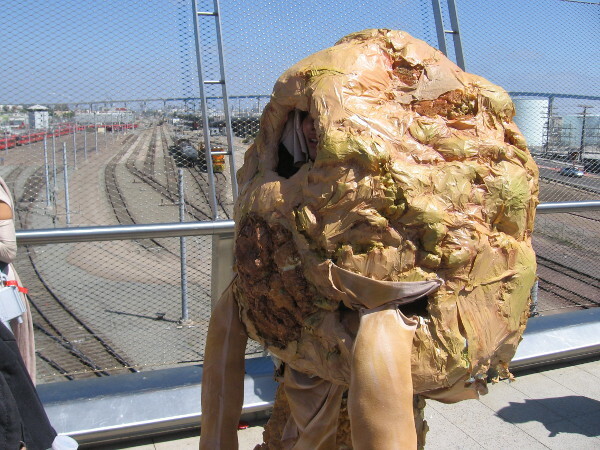 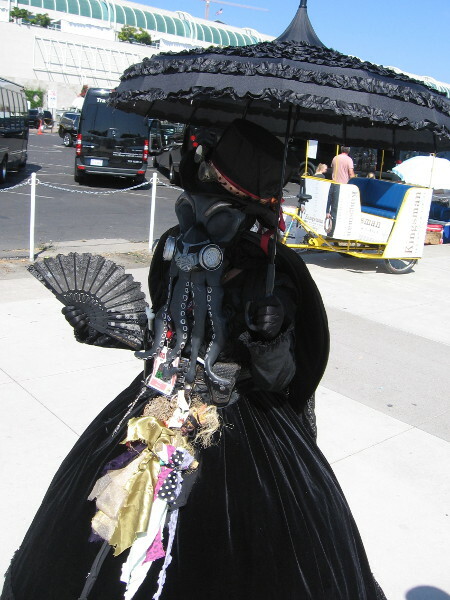 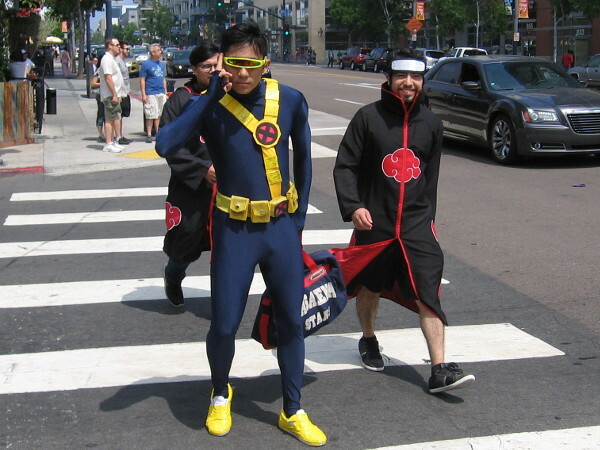 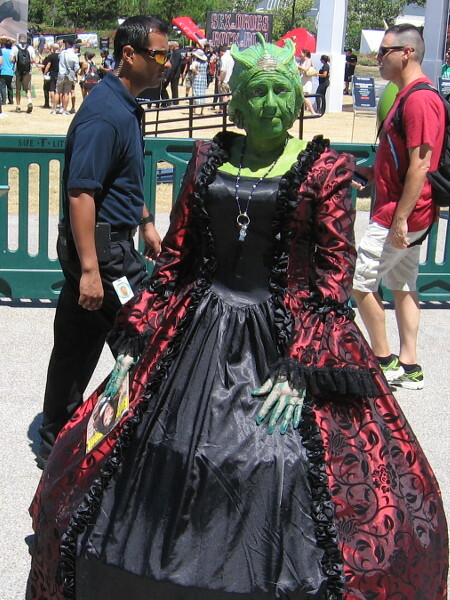 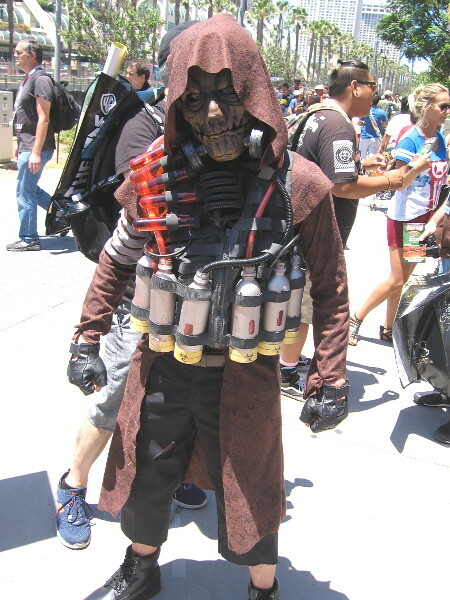 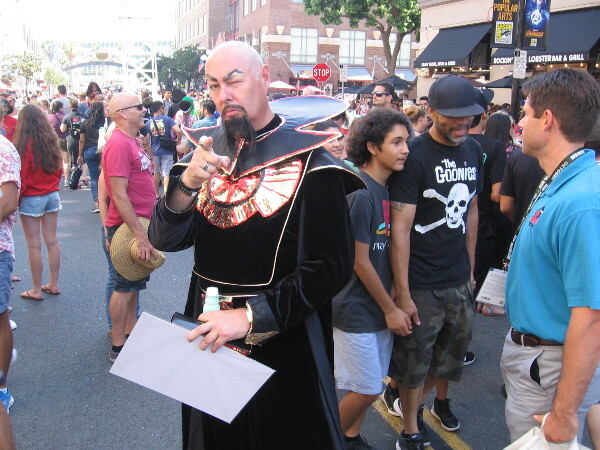 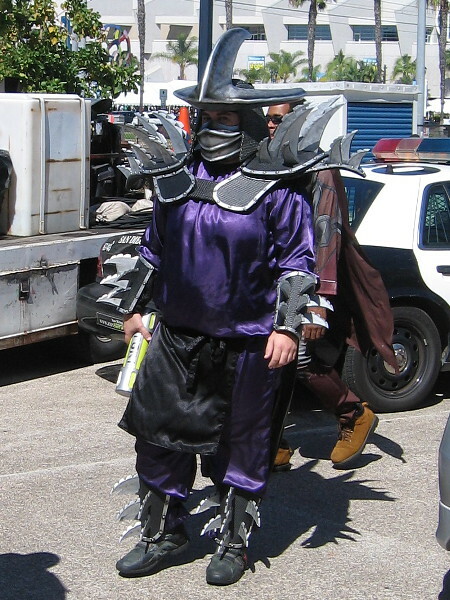 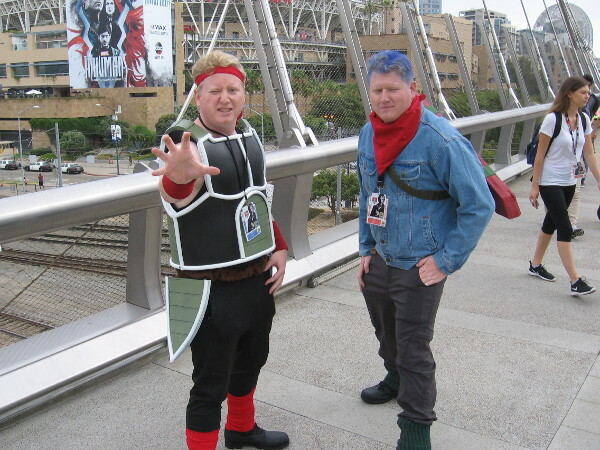 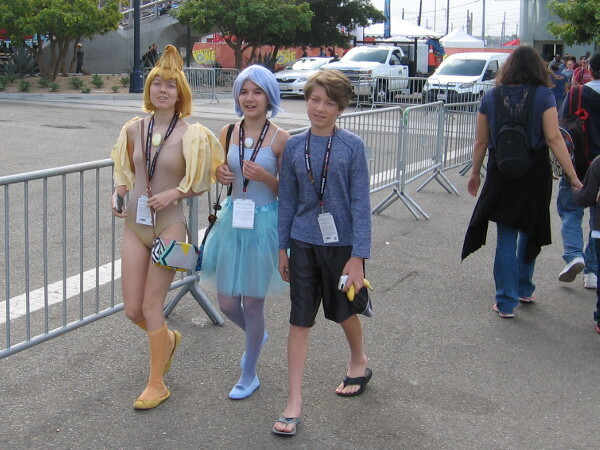 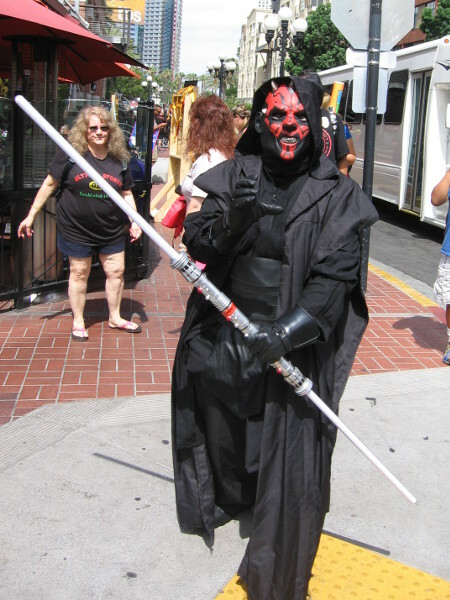 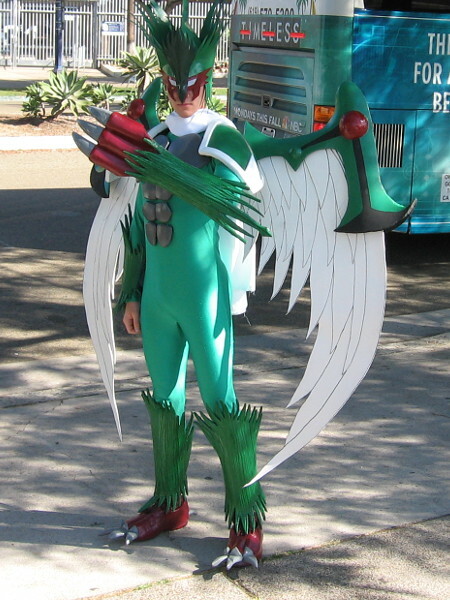 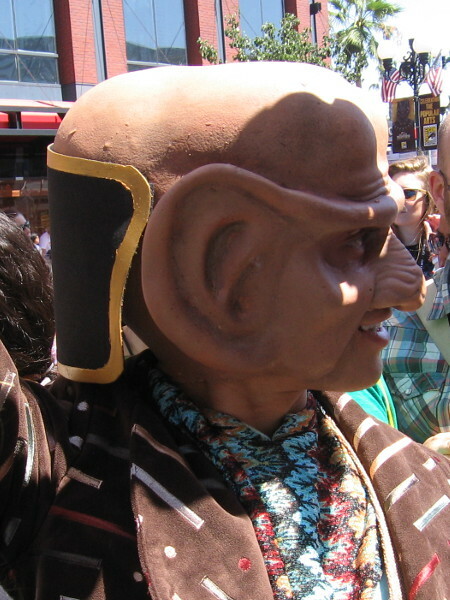 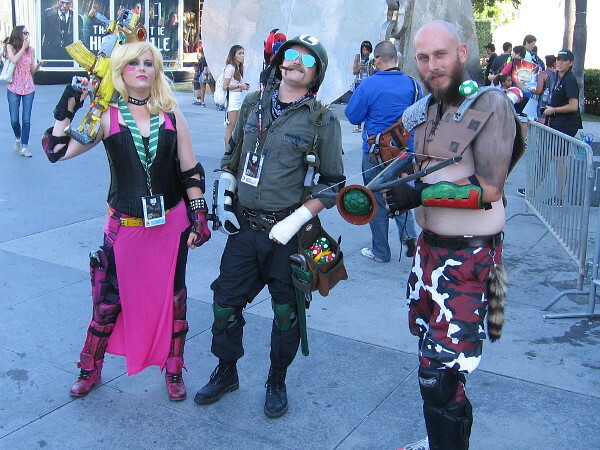 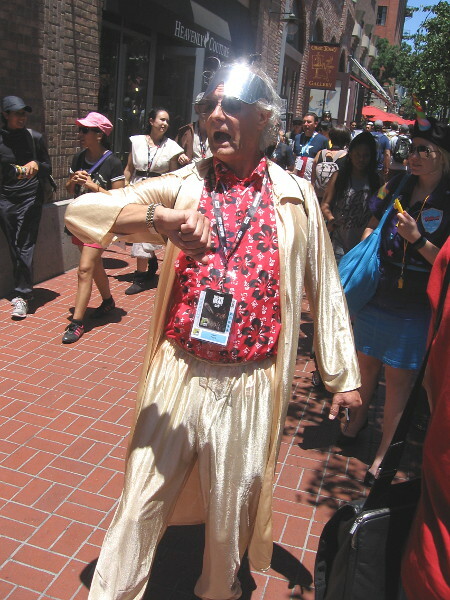 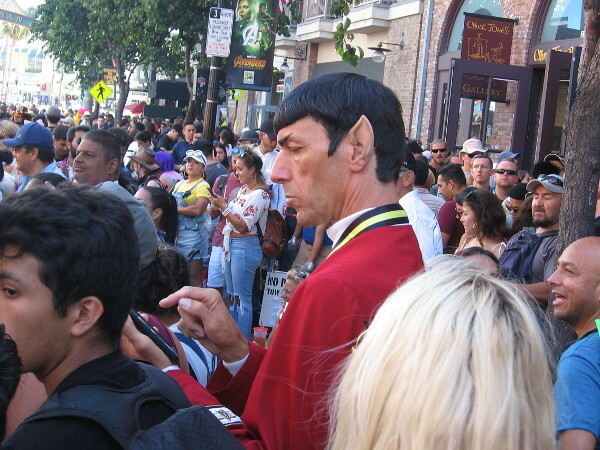 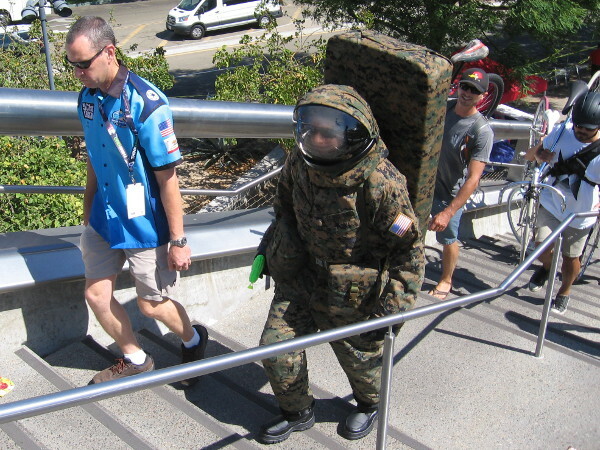 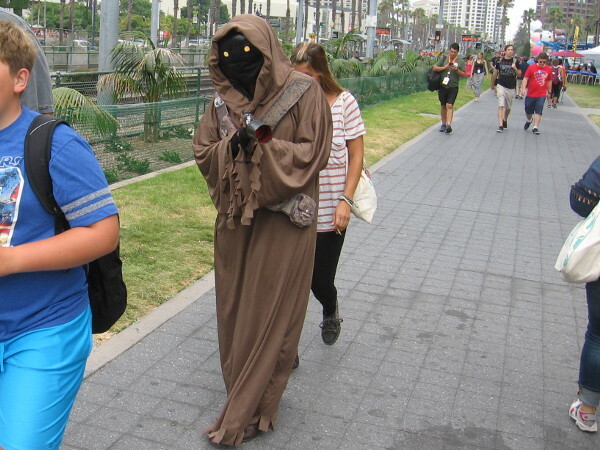 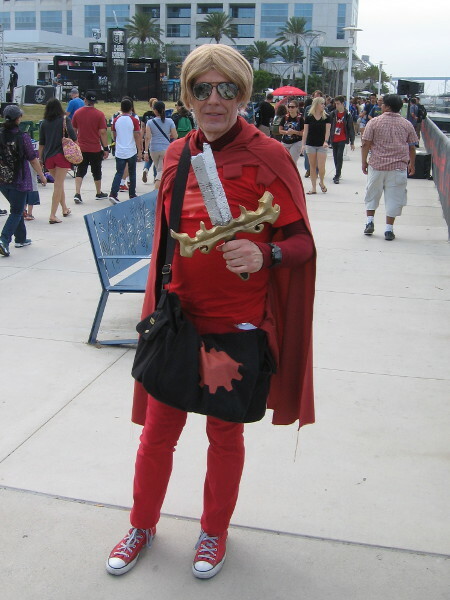 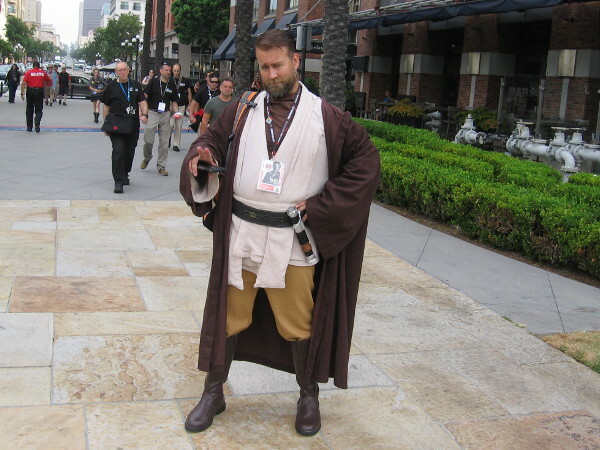 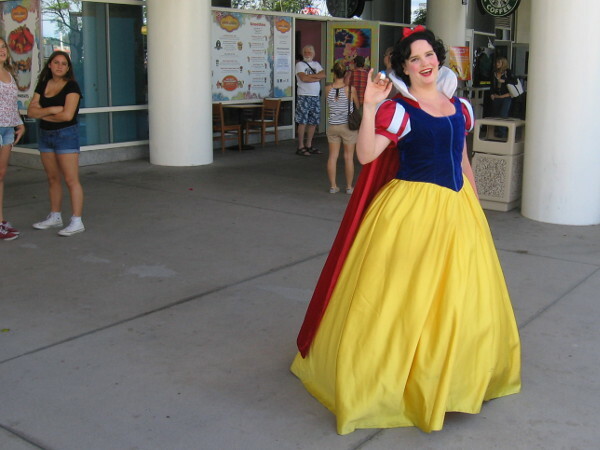 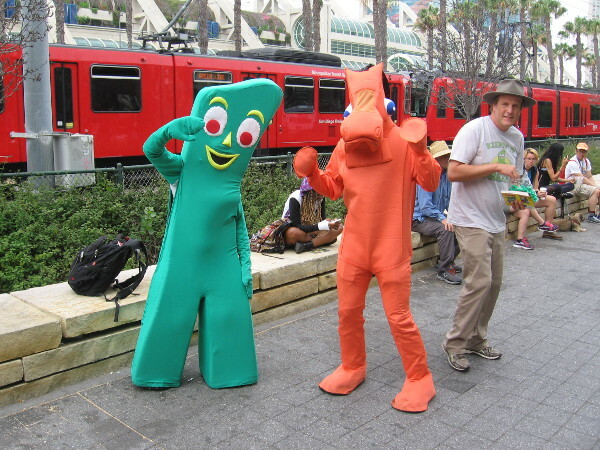 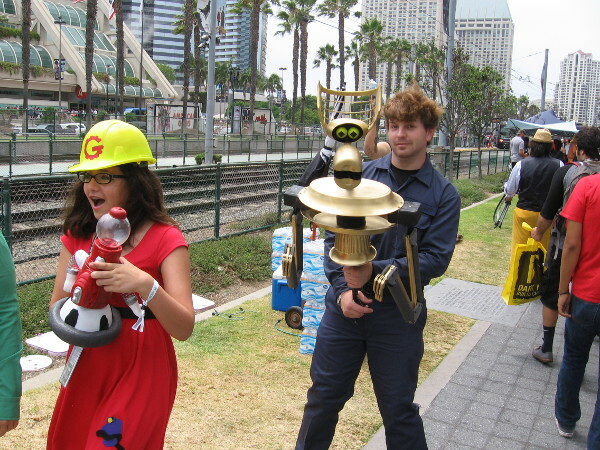 I’ve covered San Diego Comic-Con for many years. 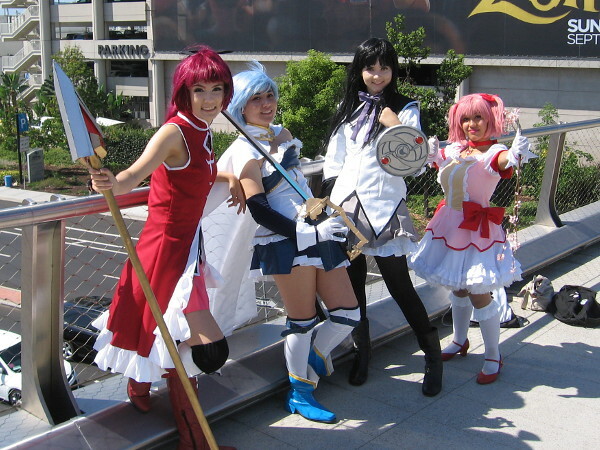 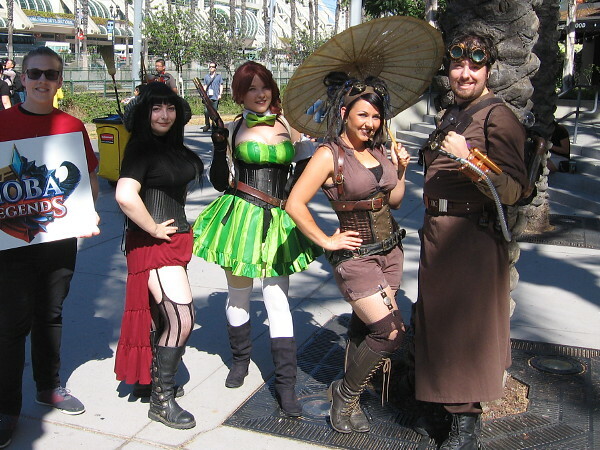 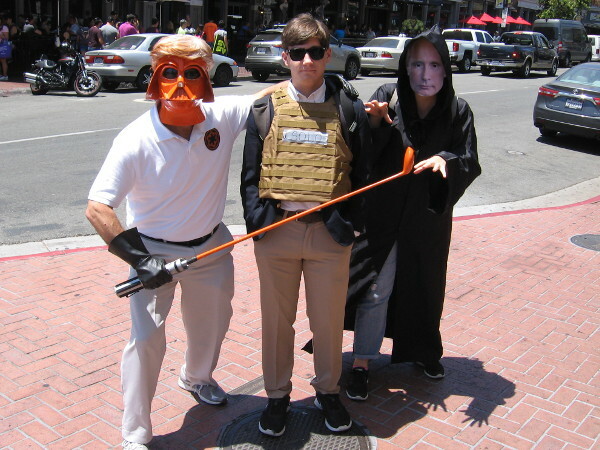 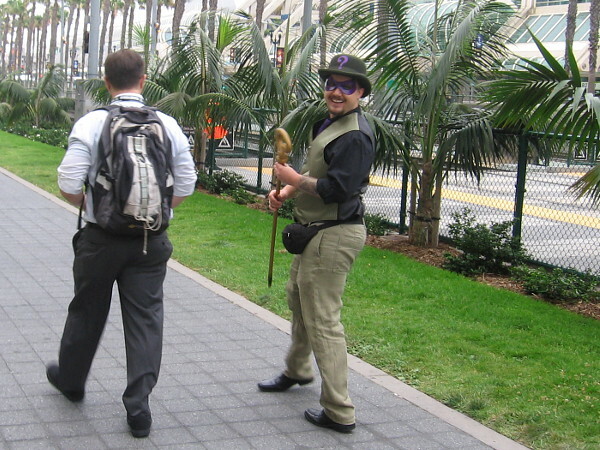 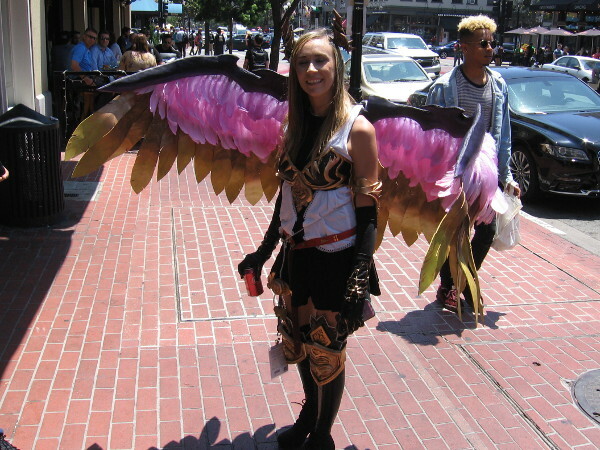 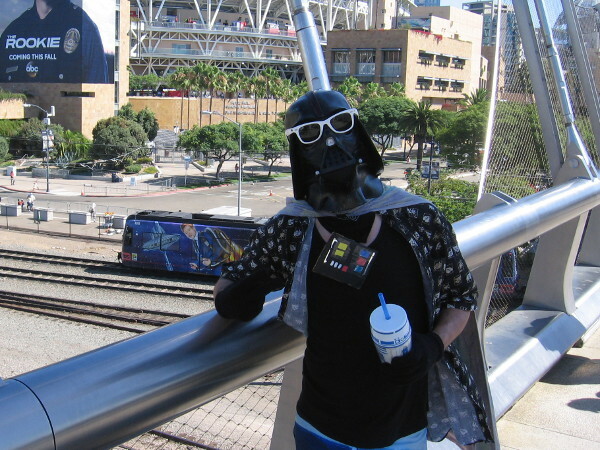 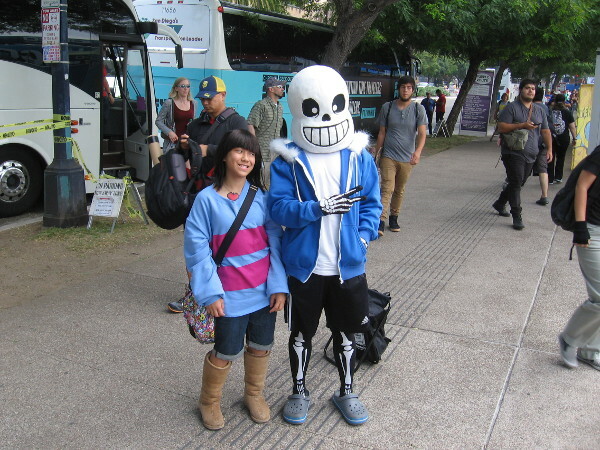 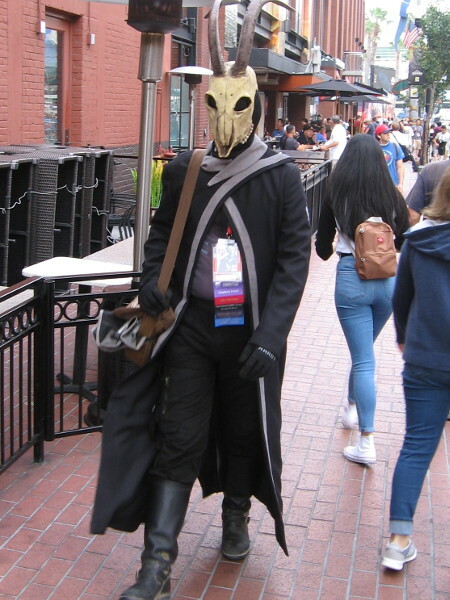 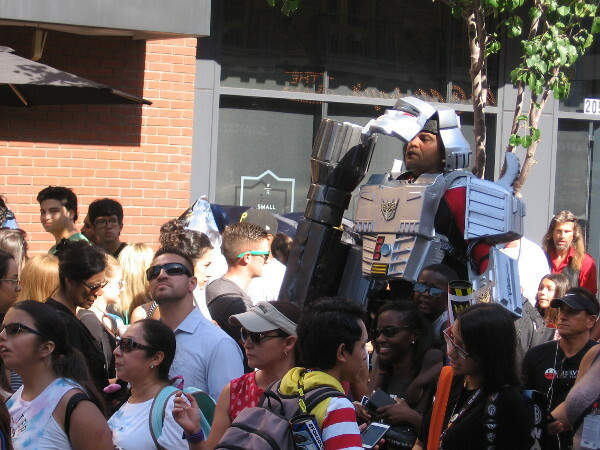 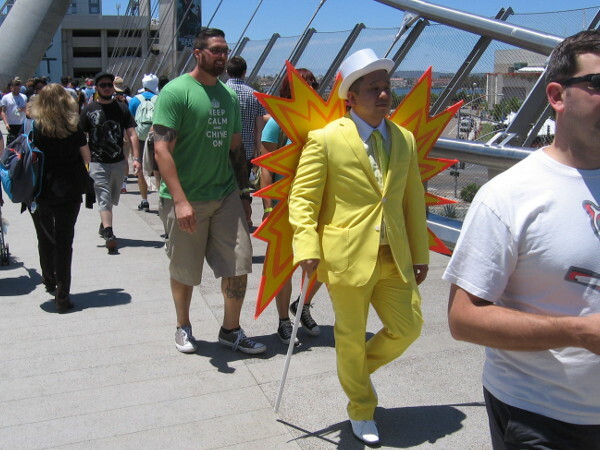 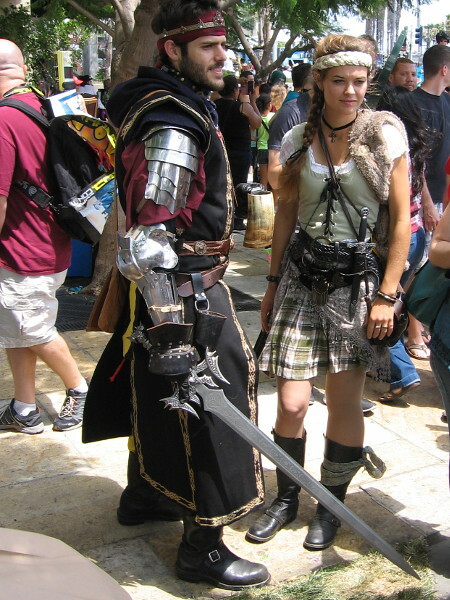 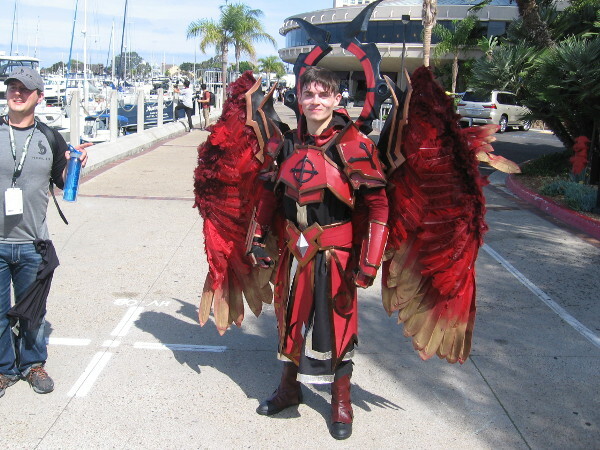 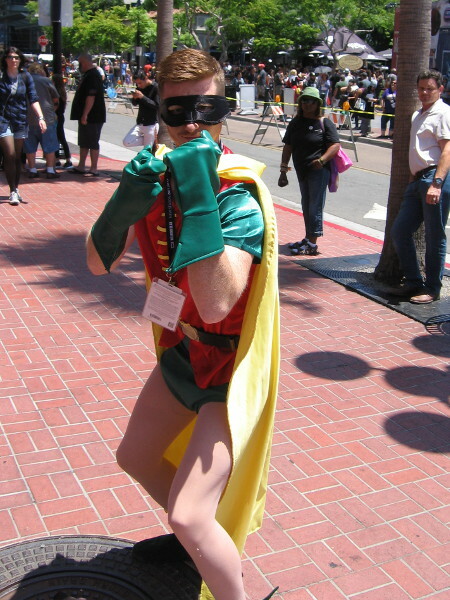 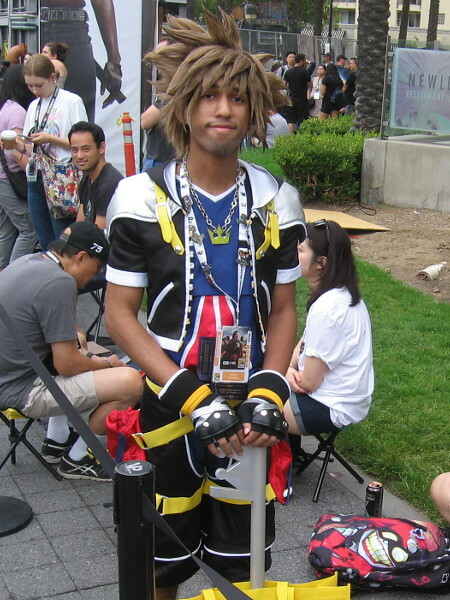 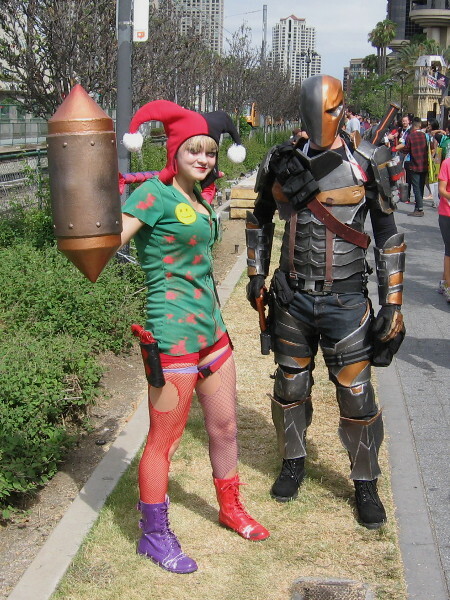 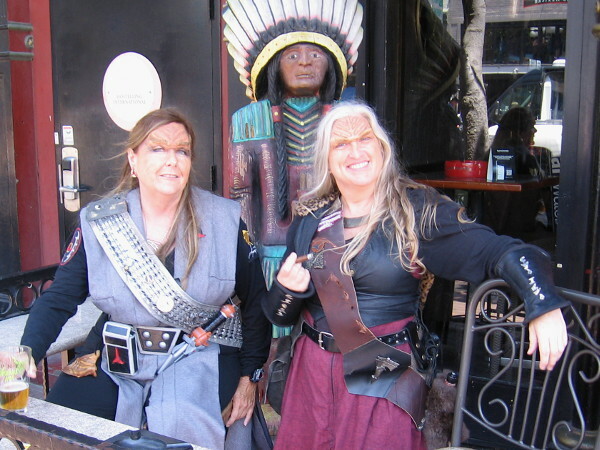 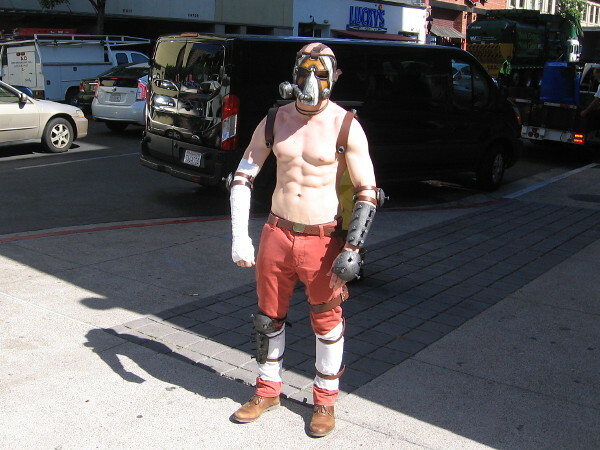 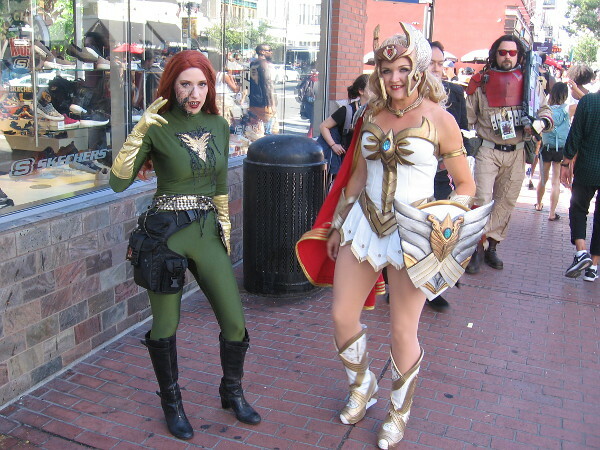 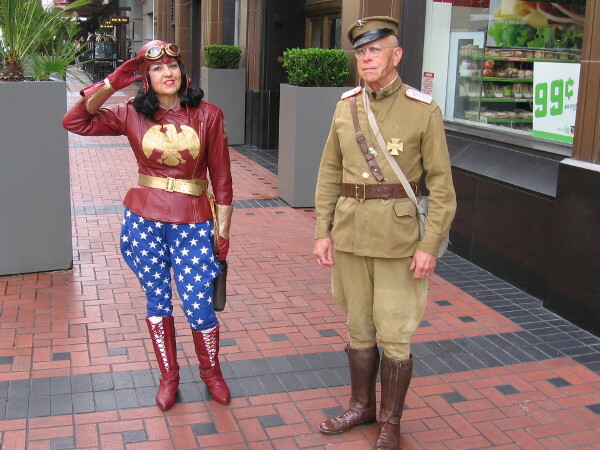 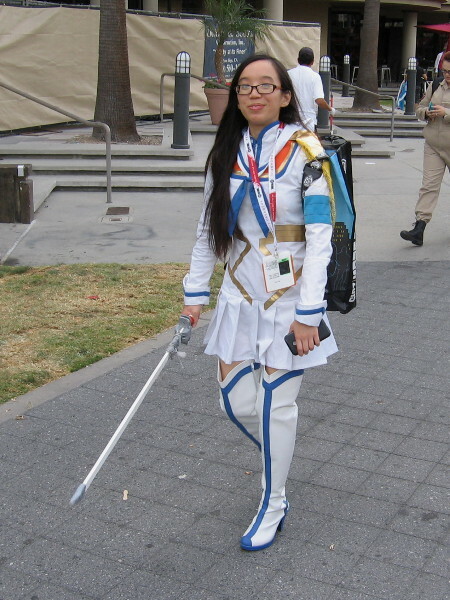 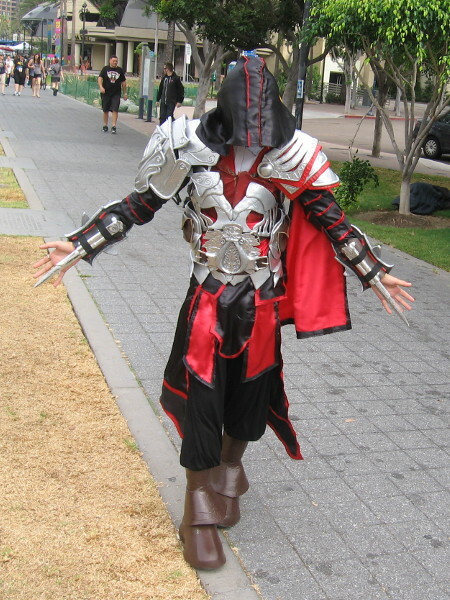 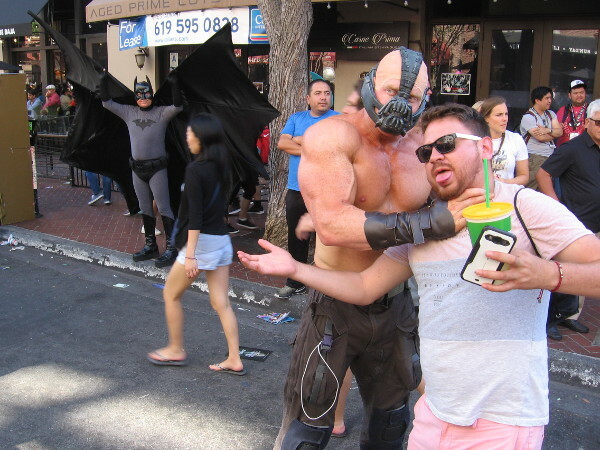 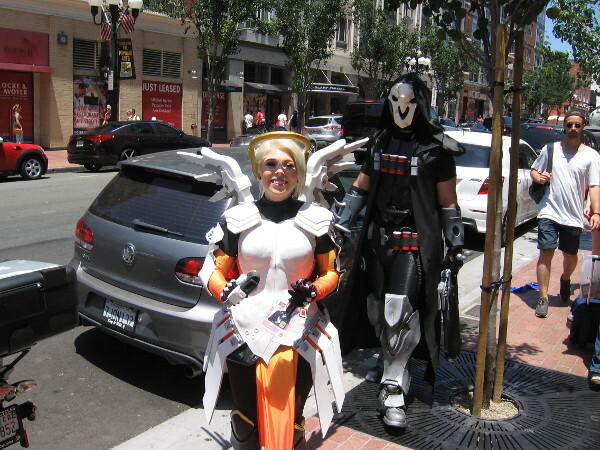 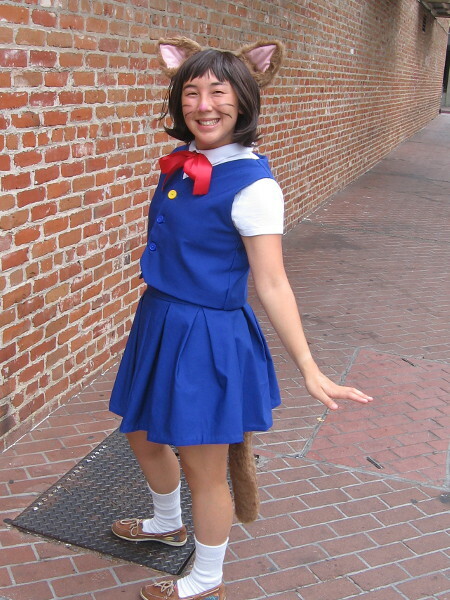 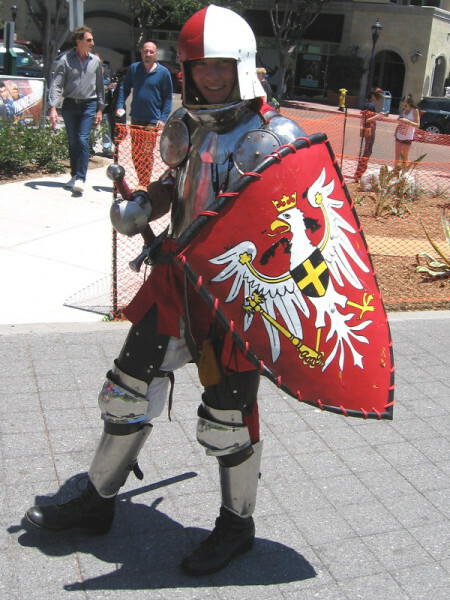 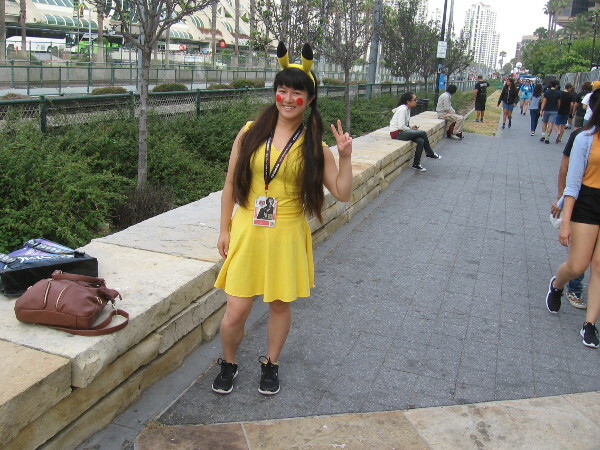 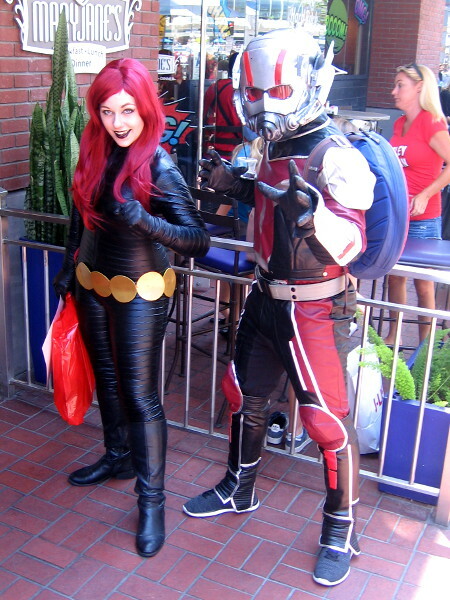 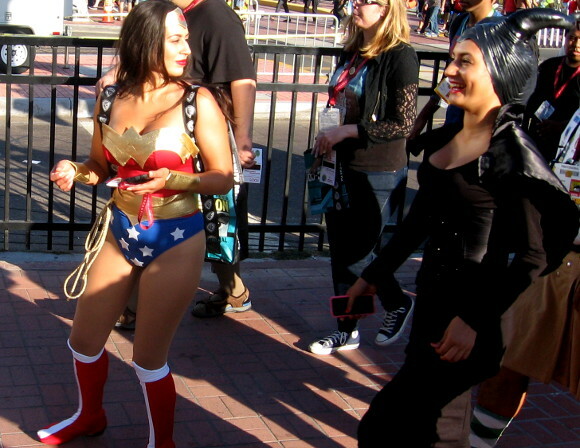 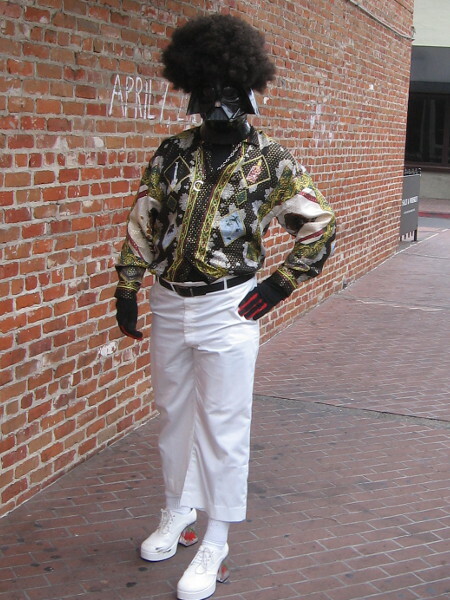 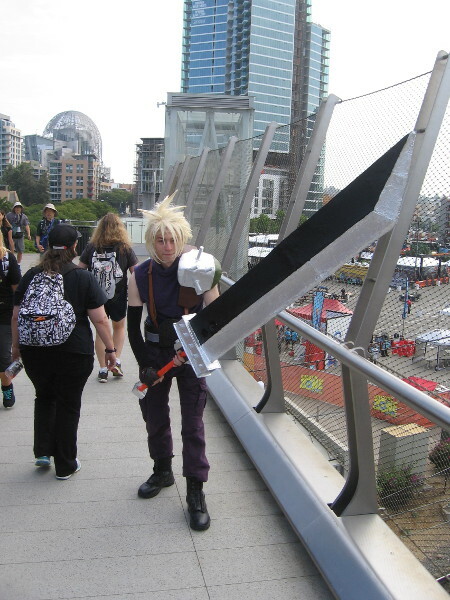 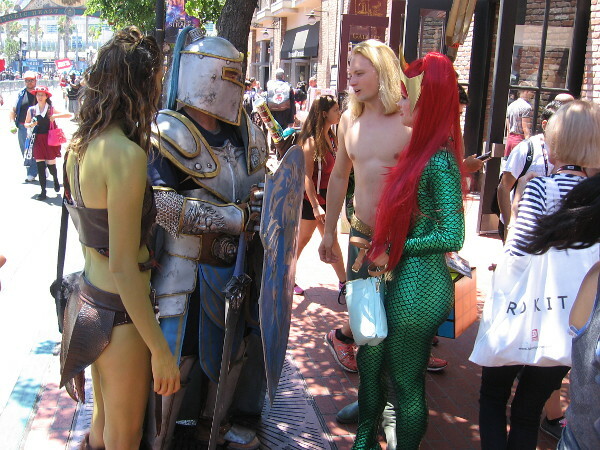 Cool San Diego Sights now includes hundreds of cosplay photos that were taken around the Convention Center and Gaslamp Quarter. 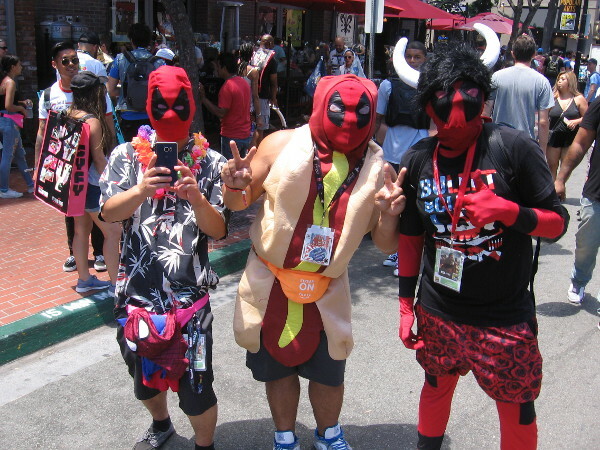 While we impatiently wait three months for 2019 Comic-Con, I thought I’d share 150 of my favorite photographs. 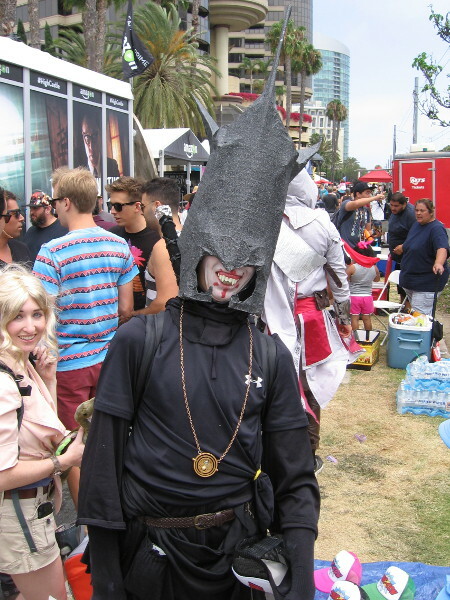 These include some the weirdest, funniest, most jaw-dropping examples of cosplay that my roving camera has happily recorded. 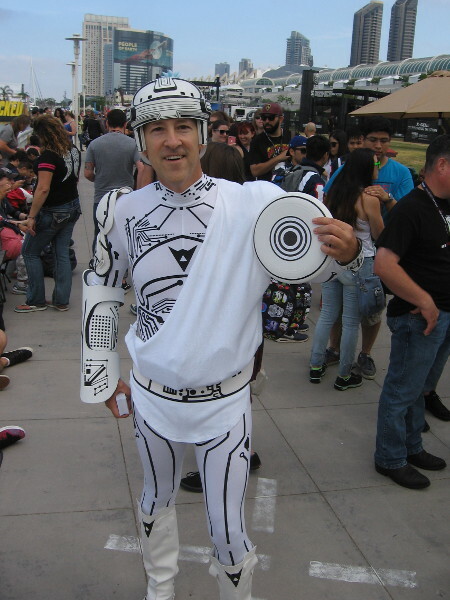 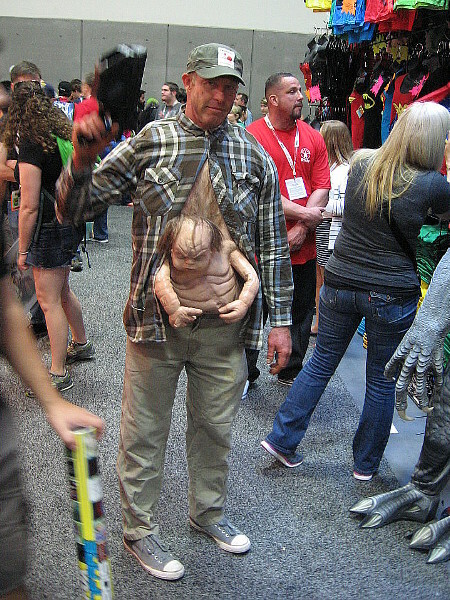 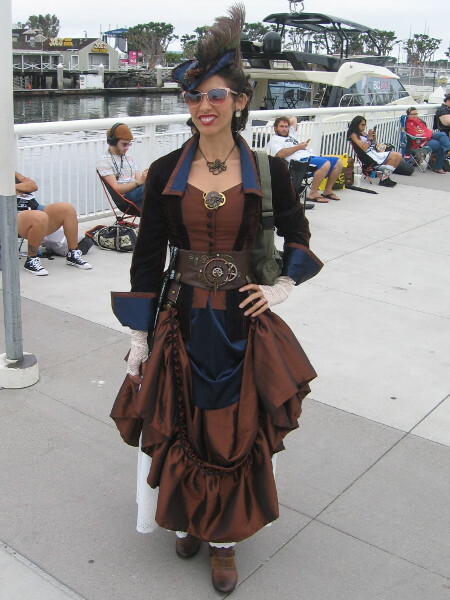 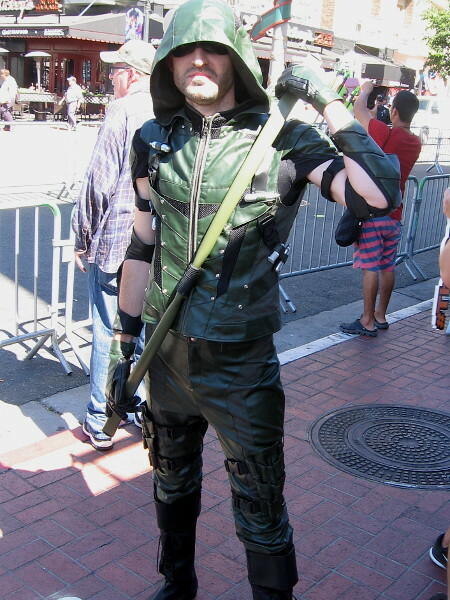 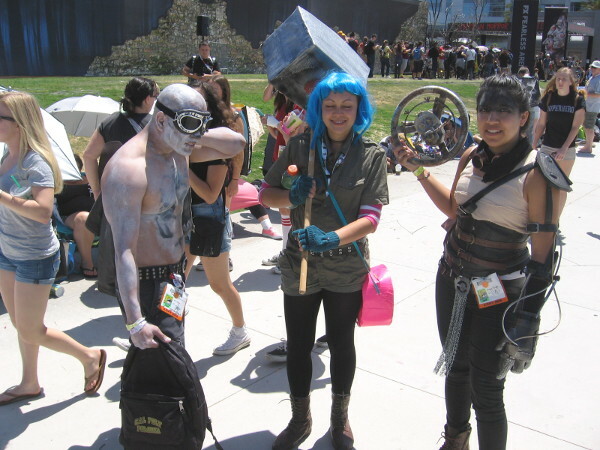 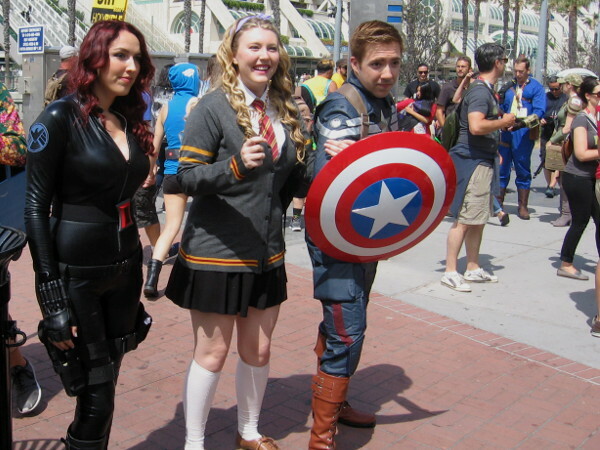 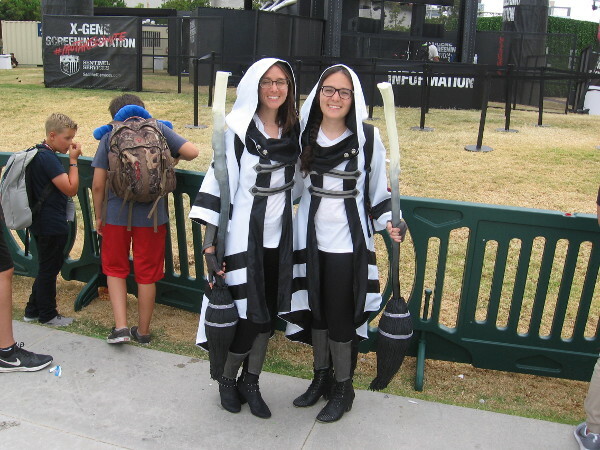 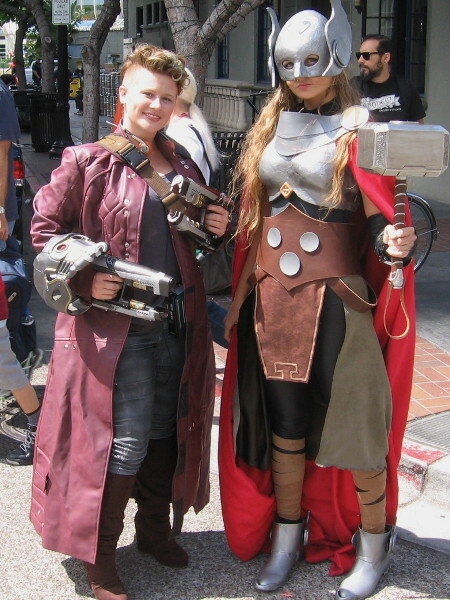 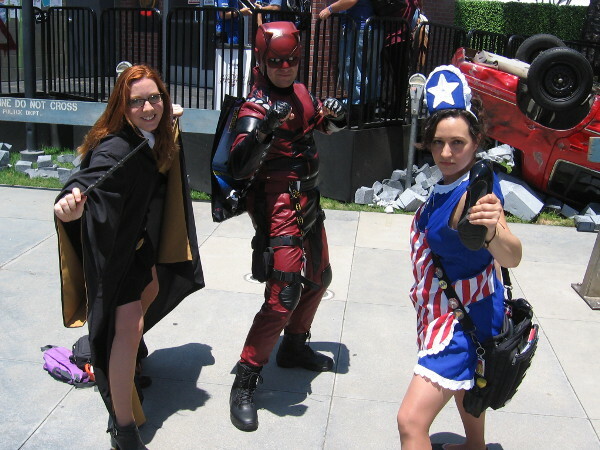 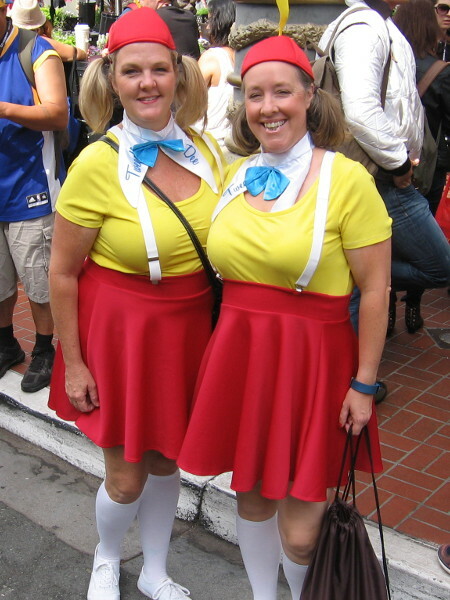 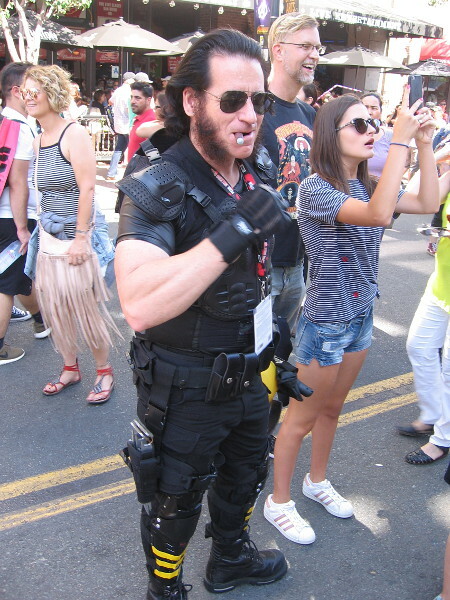 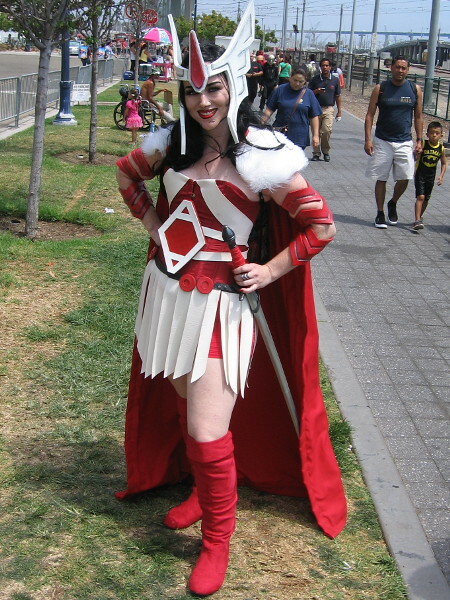 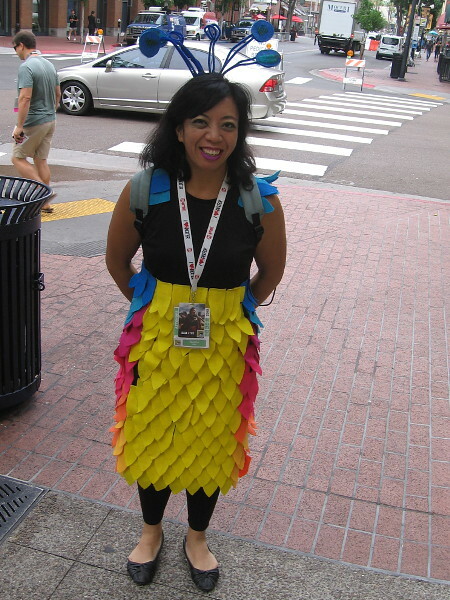 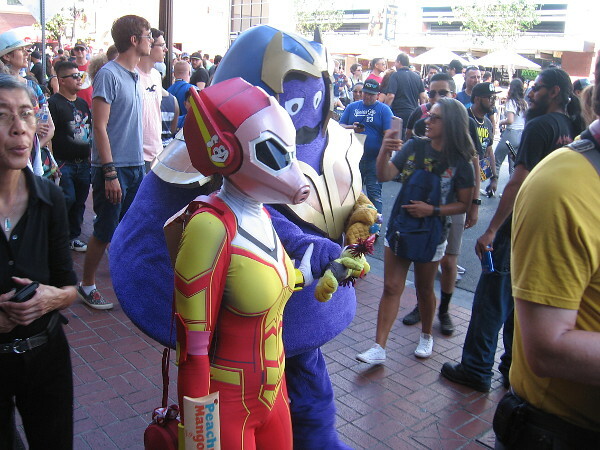 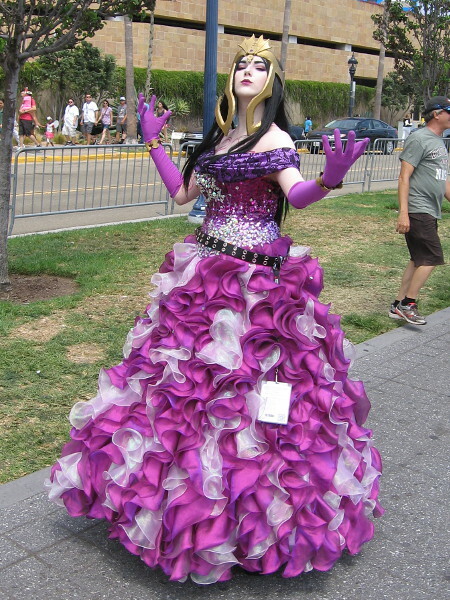 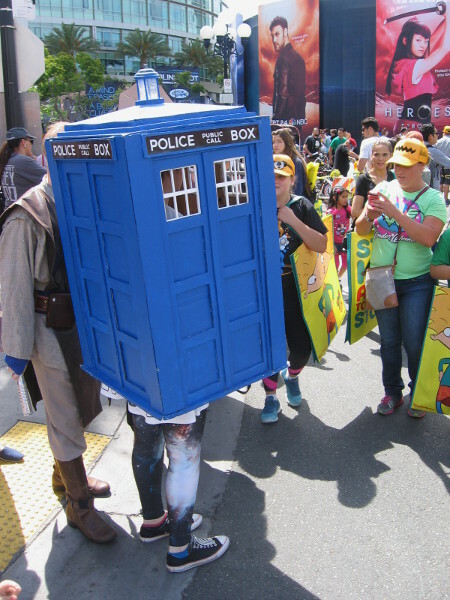 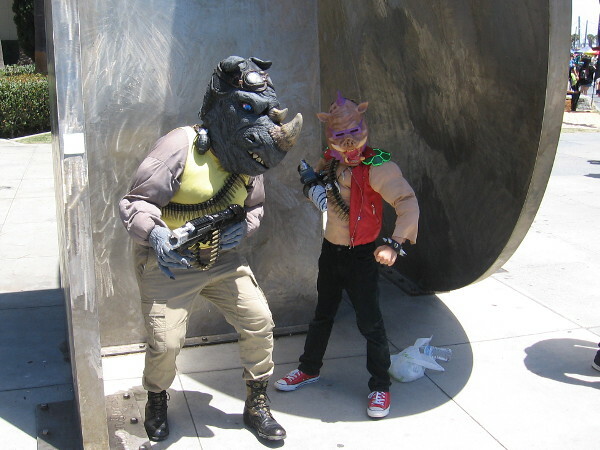 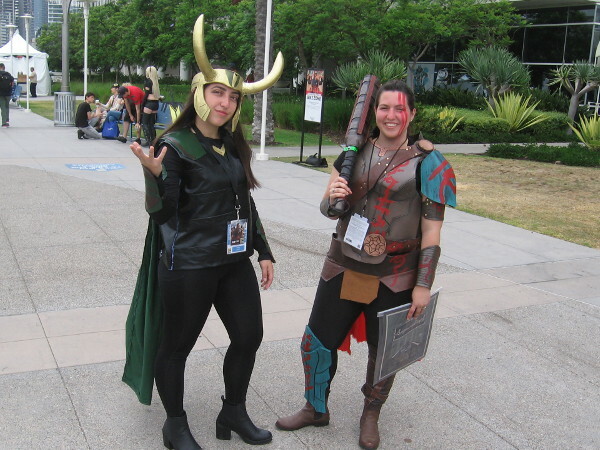 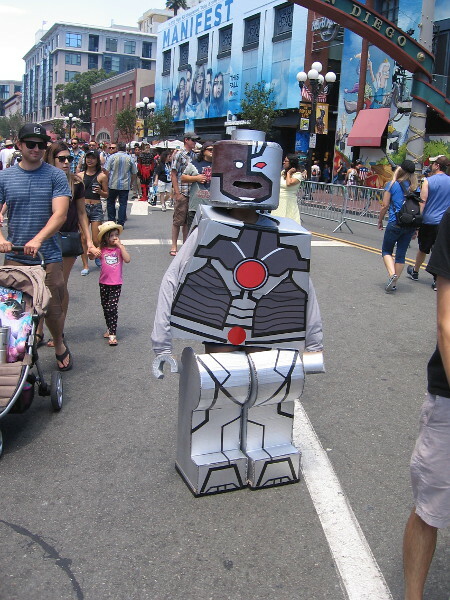 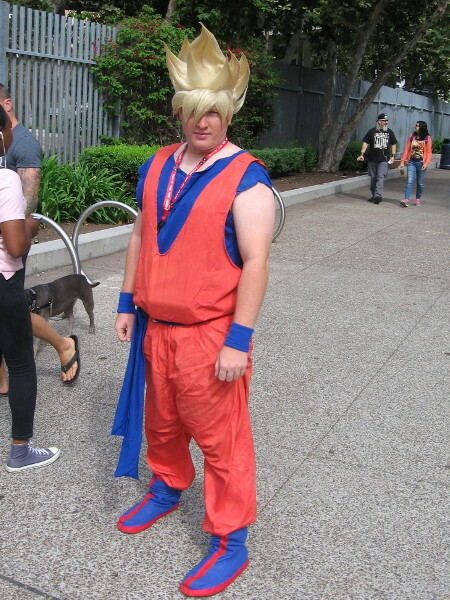 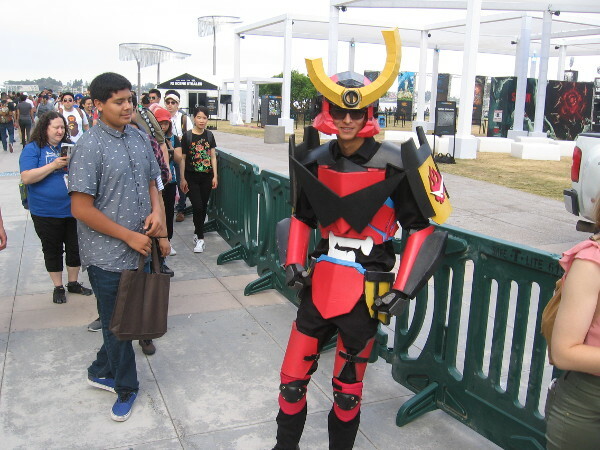 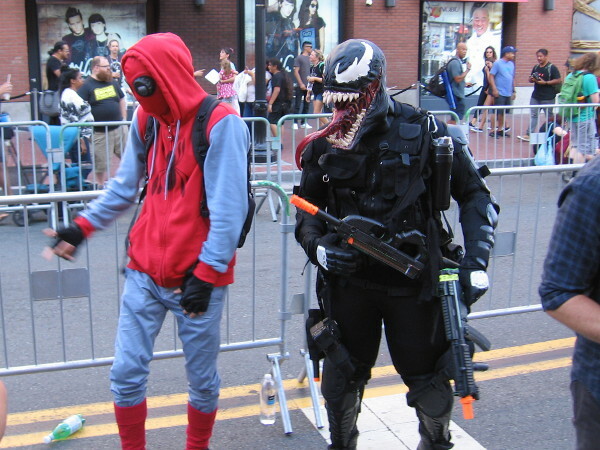 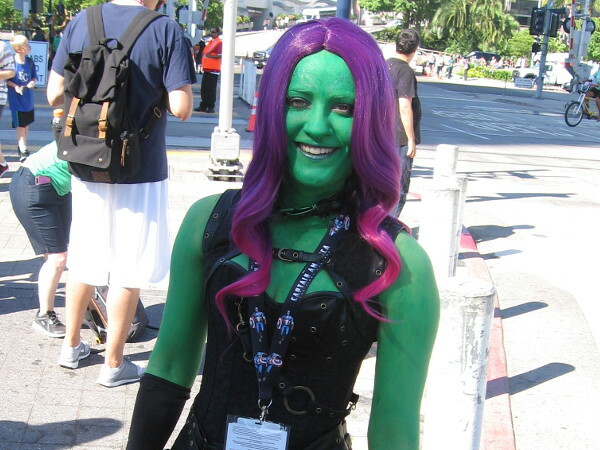 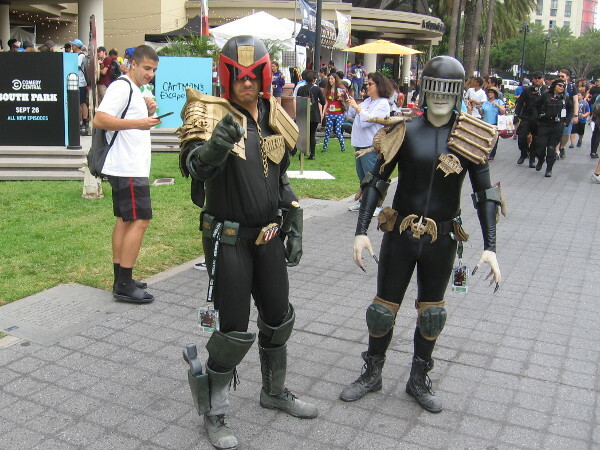 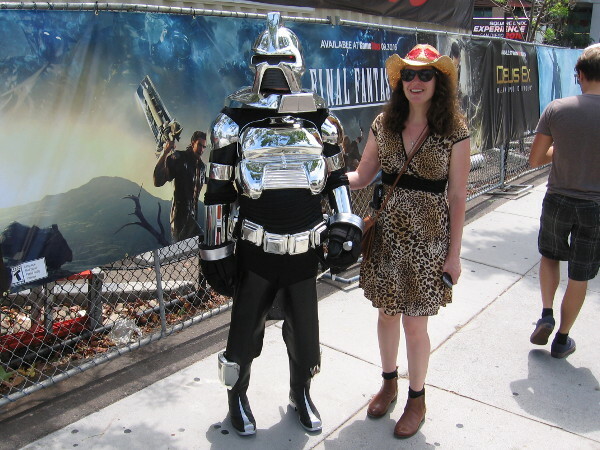 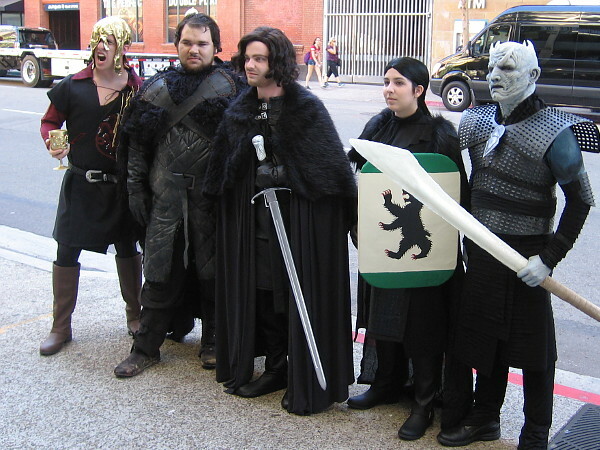 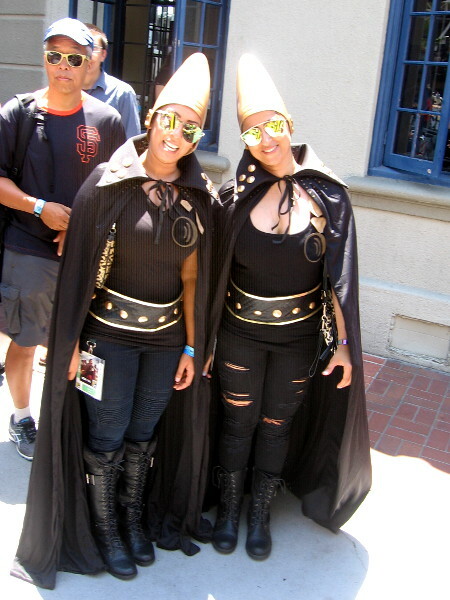 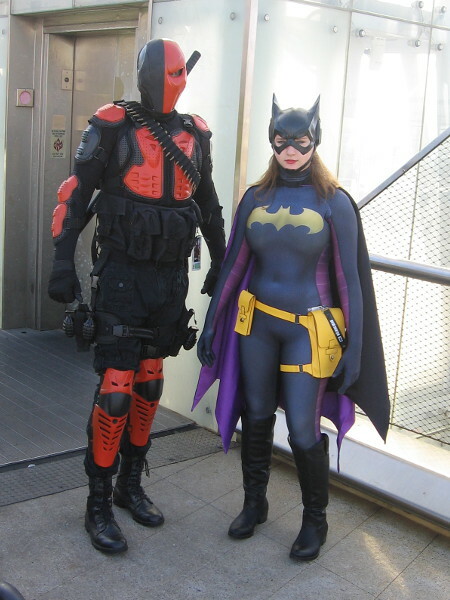 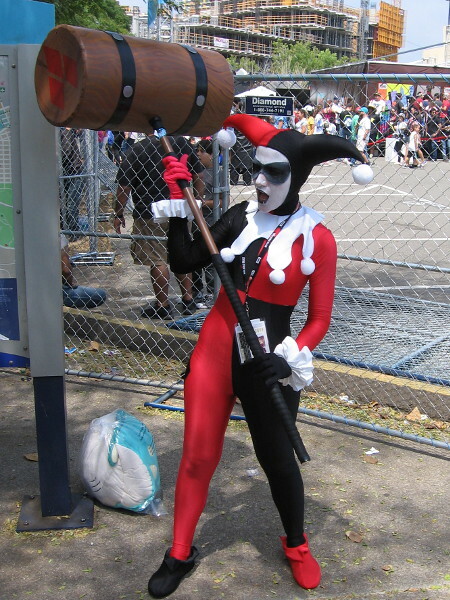 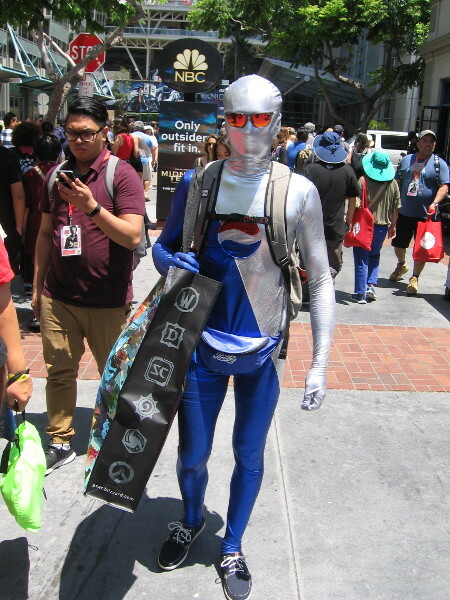 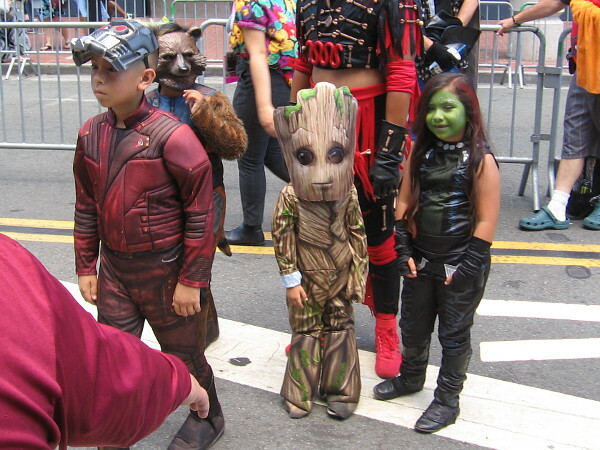 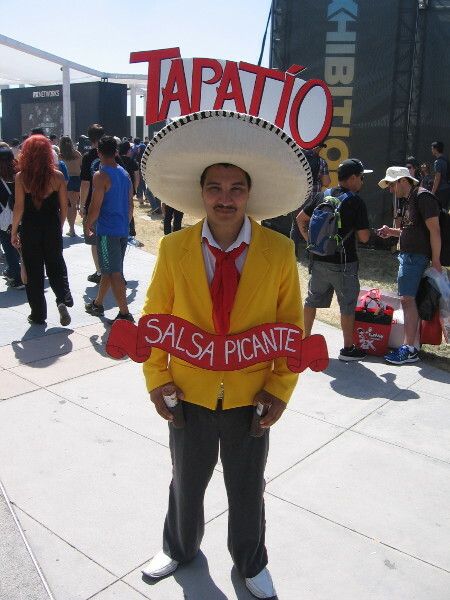 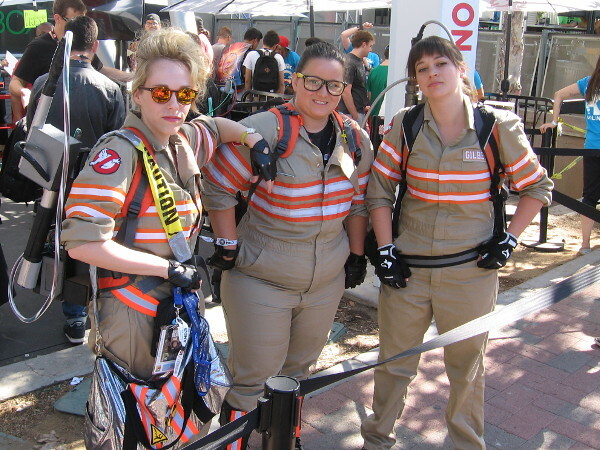 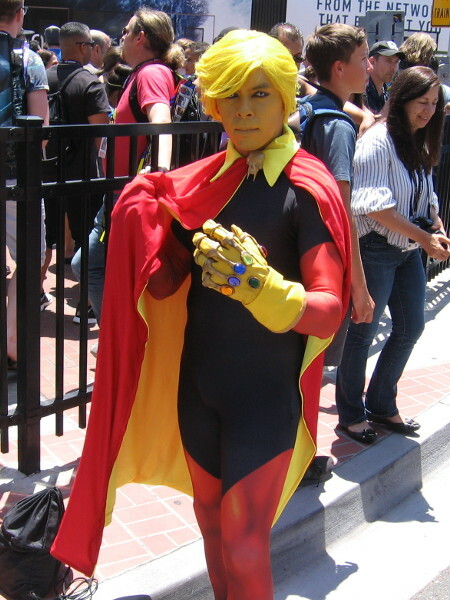 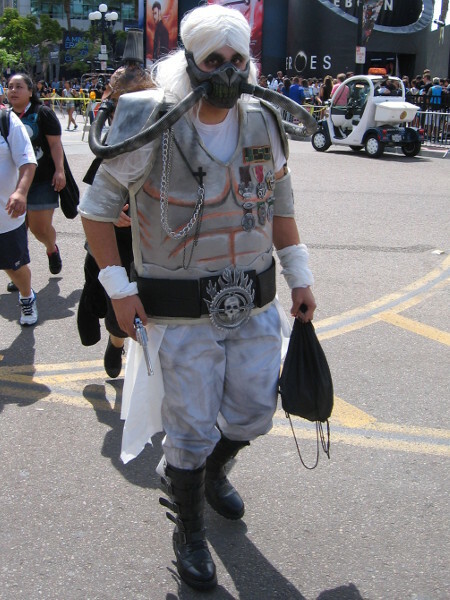 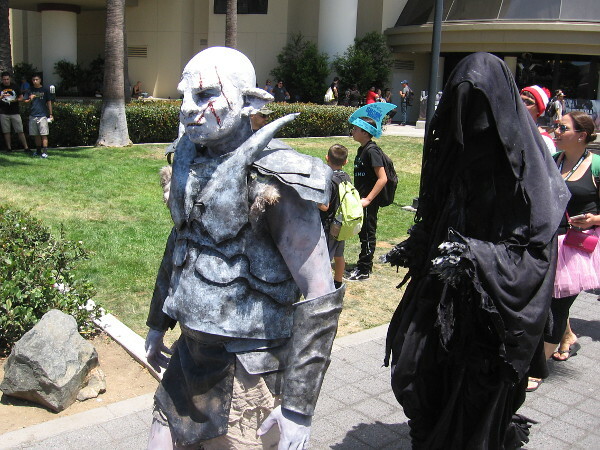 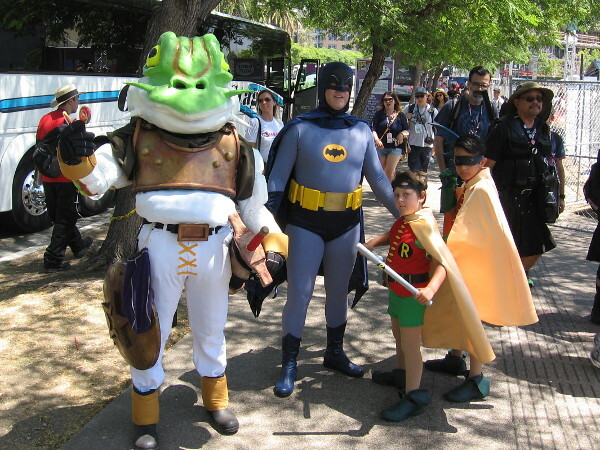 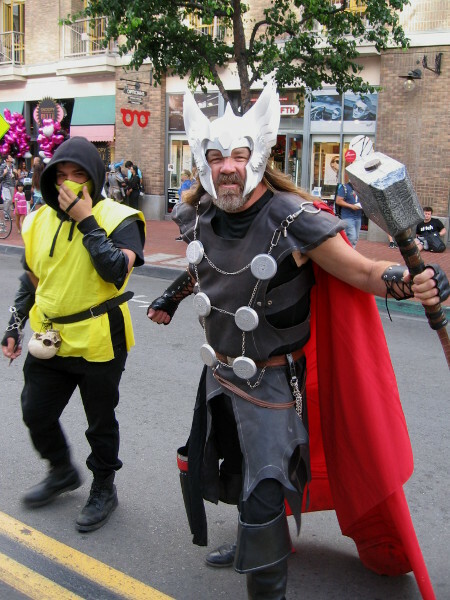 Posted on April 17, 2019 Tags comic books, comic-con, comics, cool, cosplay, costumes, creativity, entertainment, imagination, movies, pop culture, superhero, television, video games8 Comments on 150 Favorite cool photos of Comic-Con cosplay! 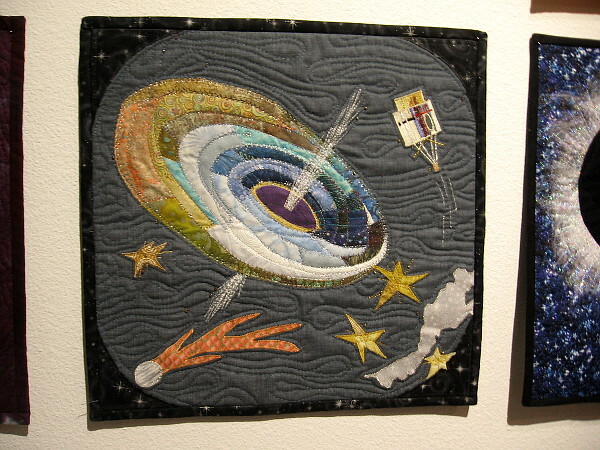 Quilters look to the stars for inspiration! 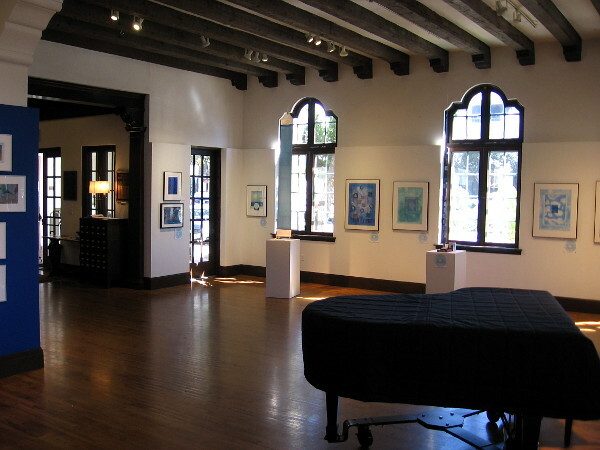 Today I took a short stroll through the Visions Art Museum at Liberty Station. 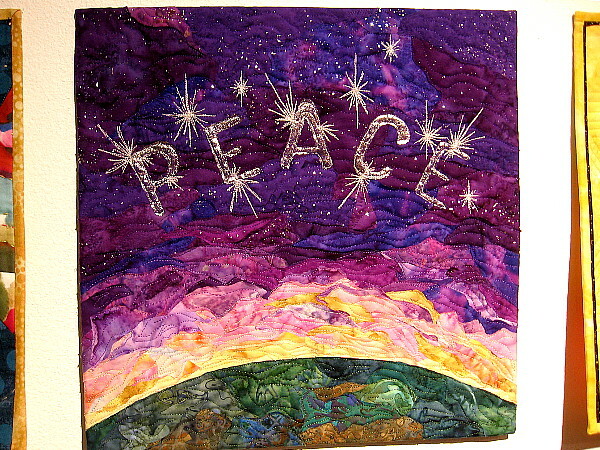 Anyone in San Diego who has a love for creative art, crafts or quilting really should visit this place. 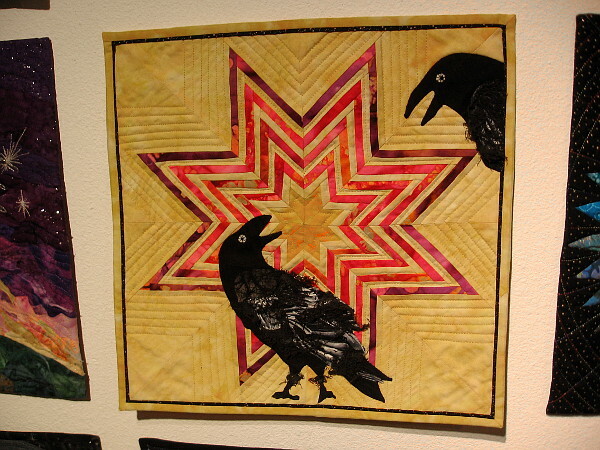 Every time I visit the Visions Art Museum there seem to be brand new displays of contemporary quilts and textiles. 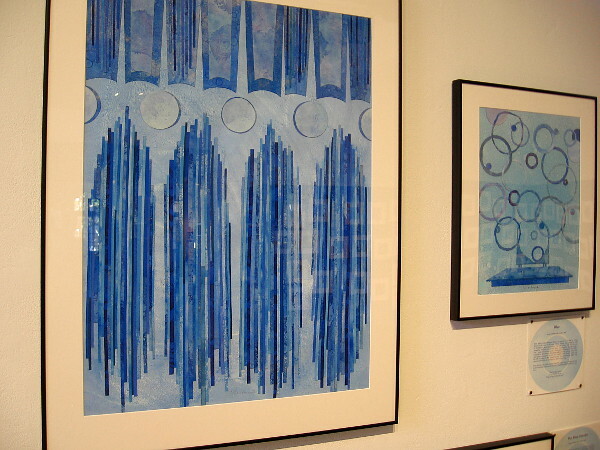 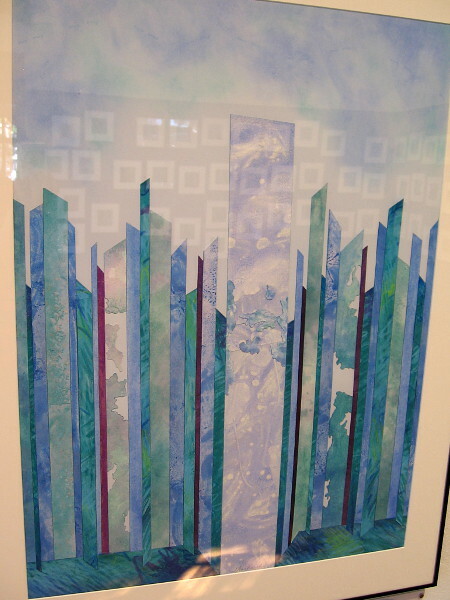 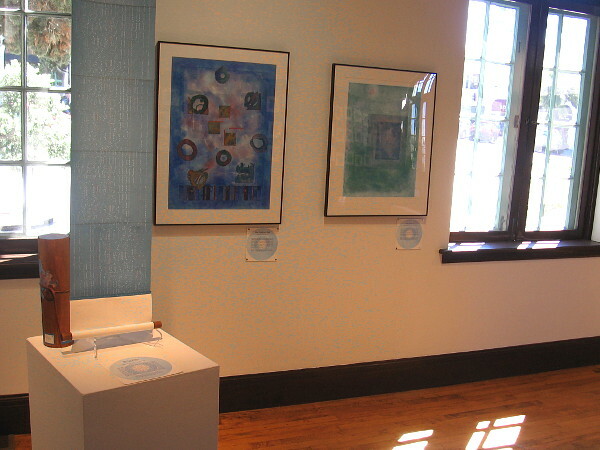 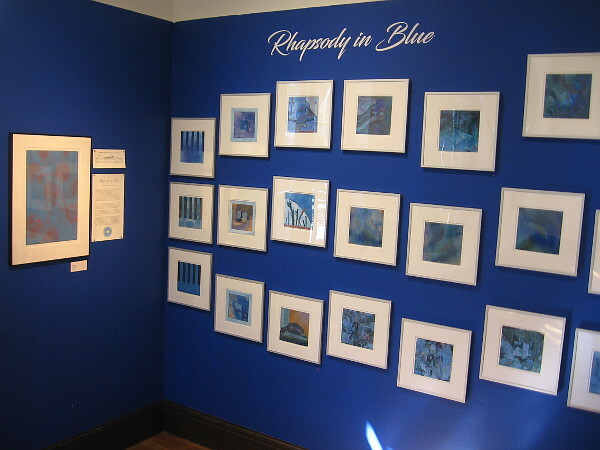 In addition to the gallery exhibitions, walls near the gift shop often feature handcrafted works by local quilting groups. 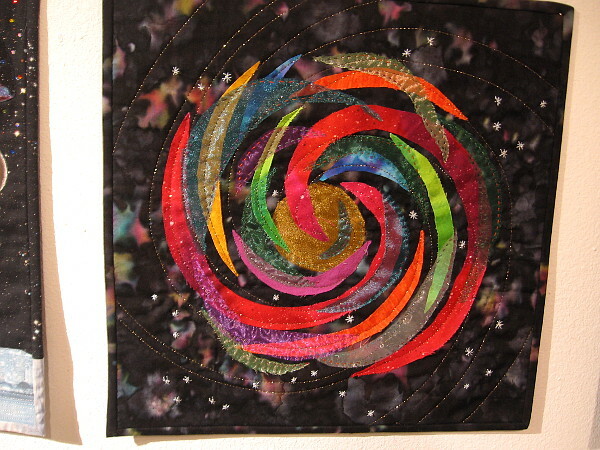 As I walked through the museum today I was instantly captivated by a wall full of 14″ x 14″ quilts that shine, swirl and sparkle. 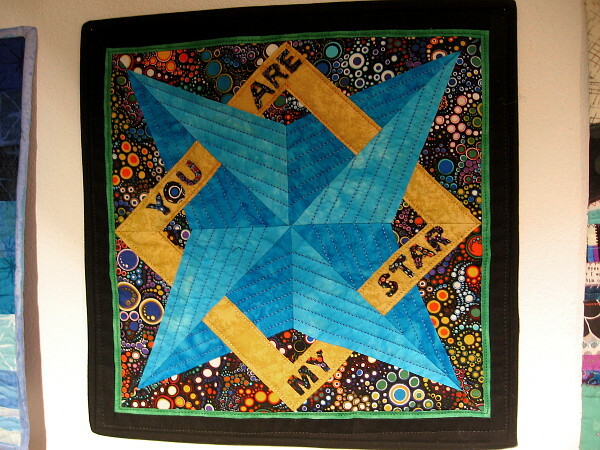 LOOK TO THE STARS, from a famous quote by Stephen Hawking, is the theme of this year’s Canyon Quilters of San Diego Challenge. 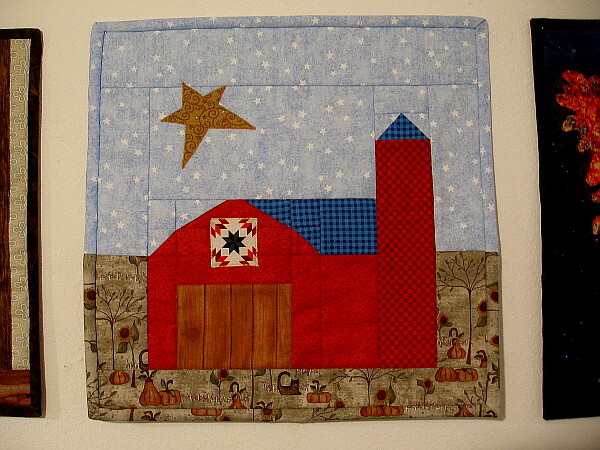 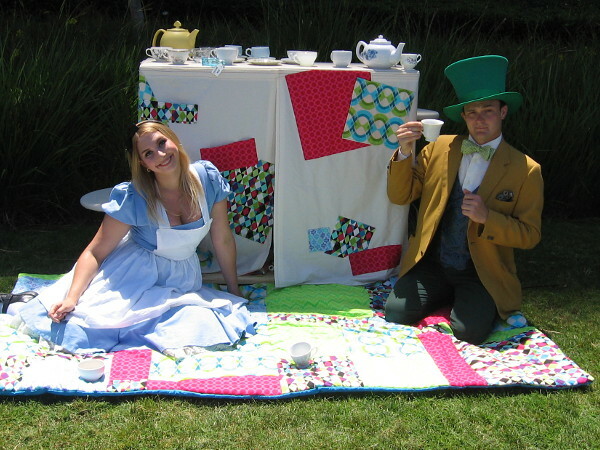 According to their website, the Canyon Quilters is a local guild with around 200 members. 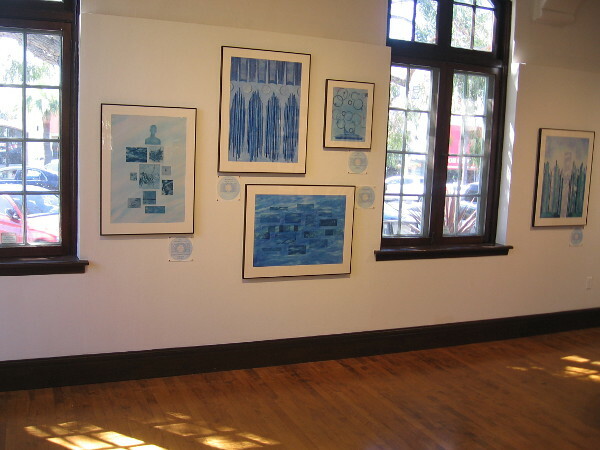 Check out all the brilliant artwork! 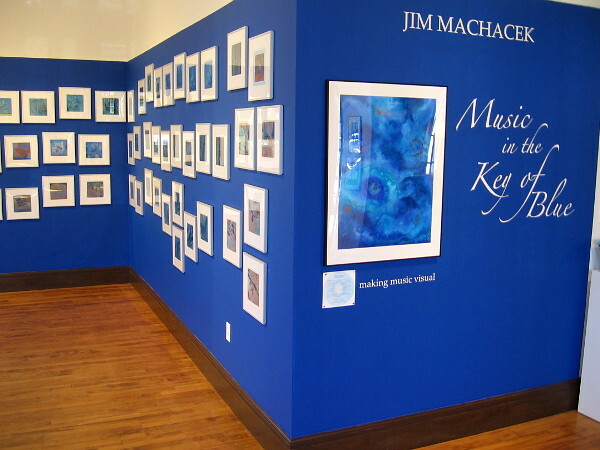 Many of the pieces in my photos are still available for purchase. 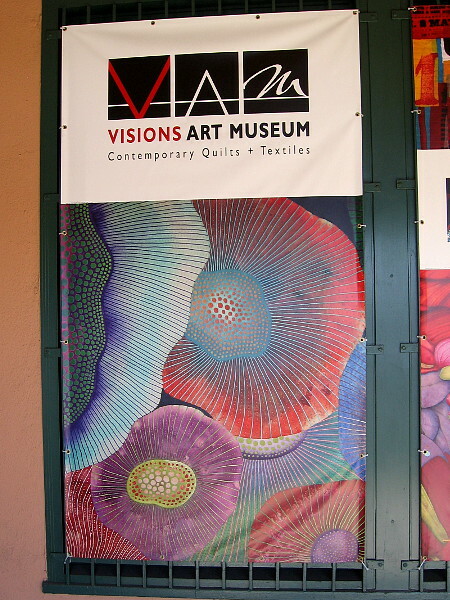 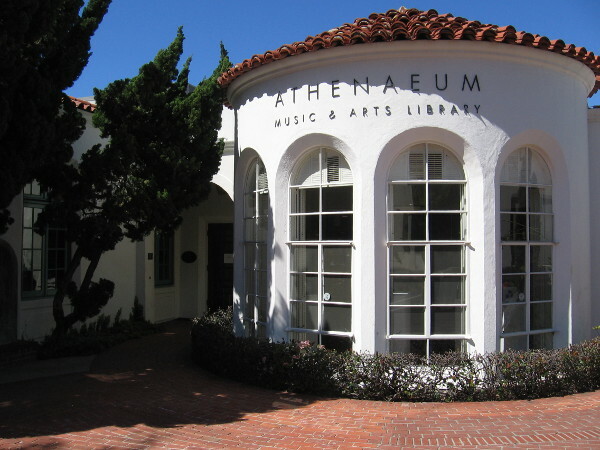 Head over to Liberty Station and step into the fantastic Visions Art Museum to have your eyes dazzled! 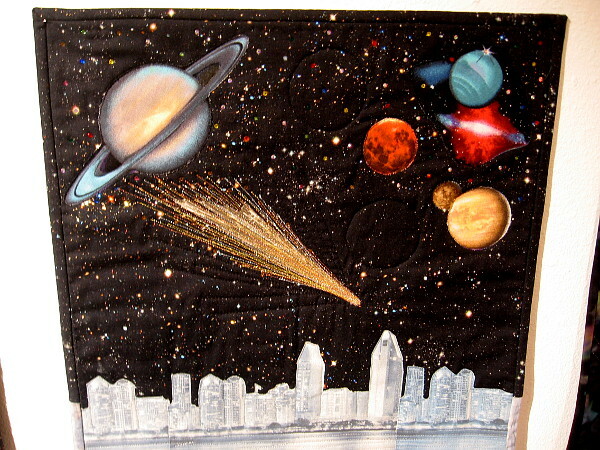 Posted on March 30, 2019 Tags art, artists, color, crafts, creativity, imagination, inspiration, liberty station, museums, photo, quilts, san diego, space, starsLeave a comment on Quilters look to the stars for inspiration! 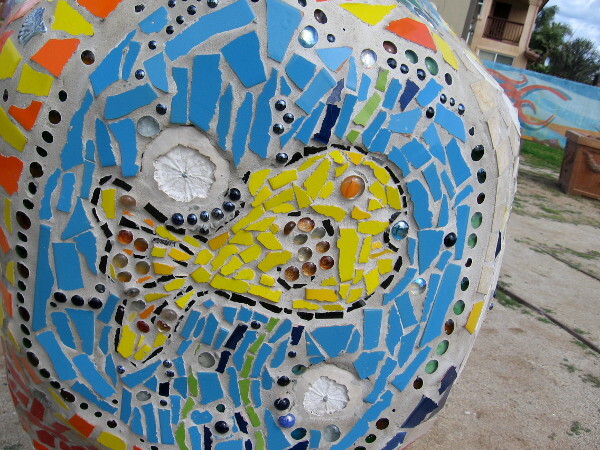 Fun mosaic sculptures at IB’s Peoples Park! 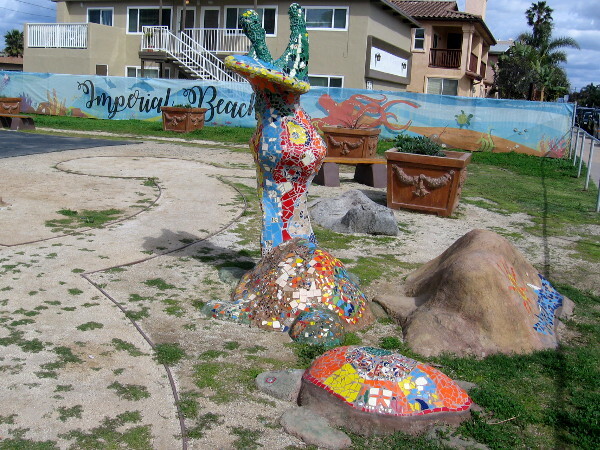 Peoples Park in Imperial Beach is now over two years old. 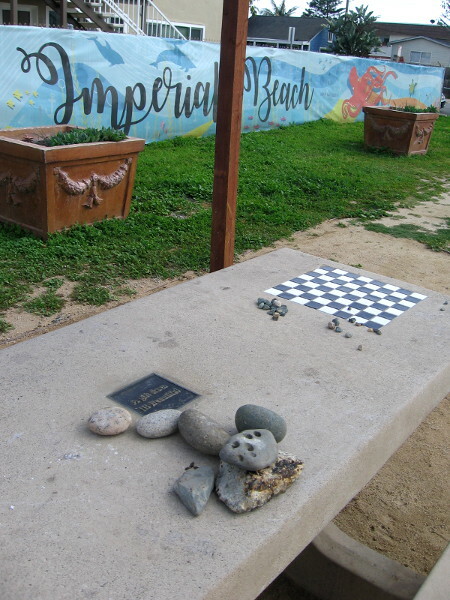 In 2016, residents of IB volunteered their skills, labor and love, and helped 4 Walls International create this fun, relaxed park on Seacoast Drive. 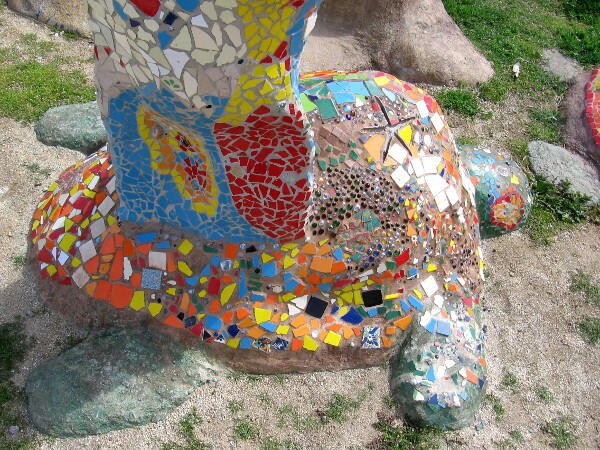 There are benches, planters and curving pathways, but the highlight of the park is a group of colorful, organic sculptures. 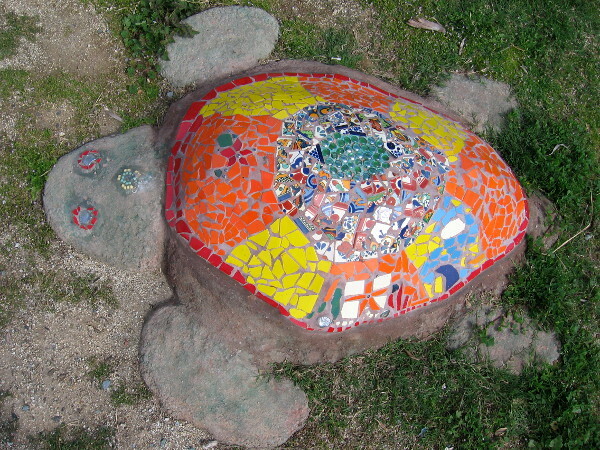 Some appear to me like sea snails; others, as you can see, are turtles! 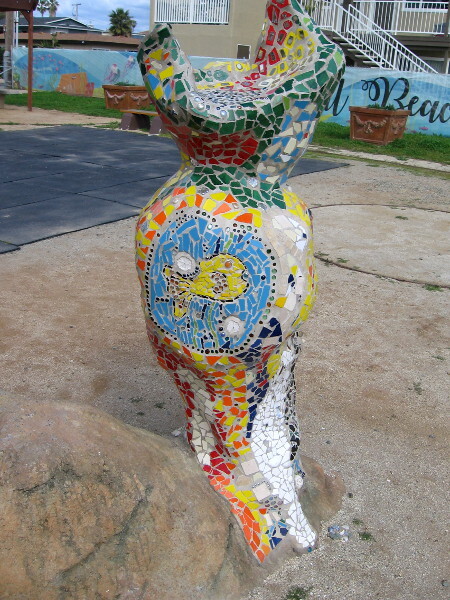 Decorating the surface of these mosaic sculptures are bits of broken tile and other small treasures, like beads and seashells. 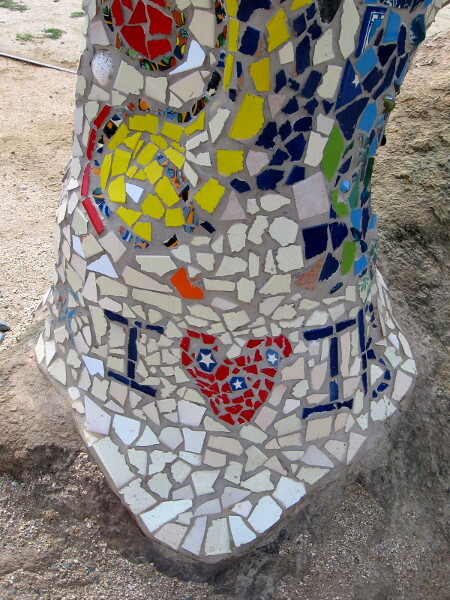 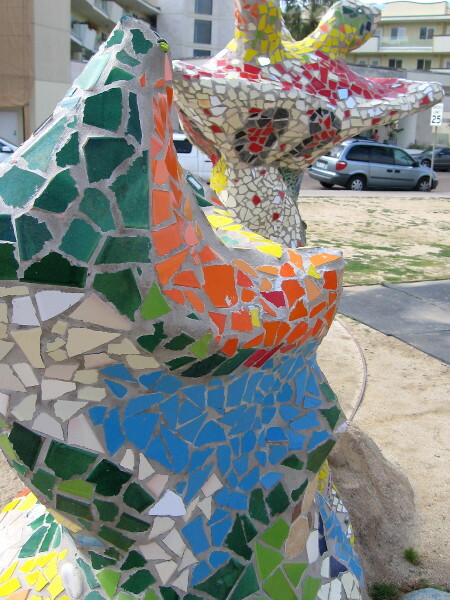 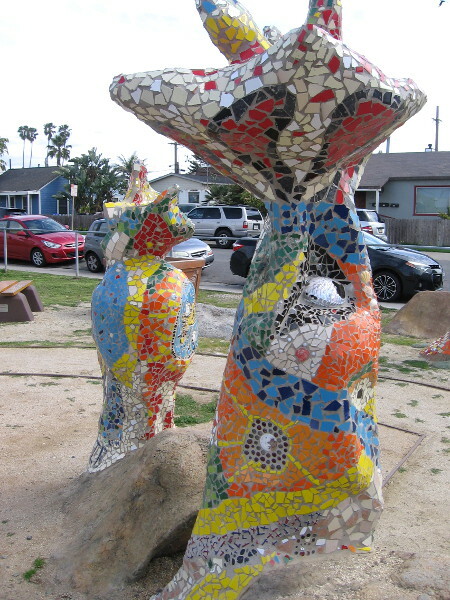 Posted on March 12, 2019 March 12, 2019 Tags art, color, community, cool, creativity, fun, imagination, imperial beach, mosaic, parks, photography, public art, sculptures, volunteeringLeave a comment on Fun mosaic sculptures at IB’s Peoples Park! 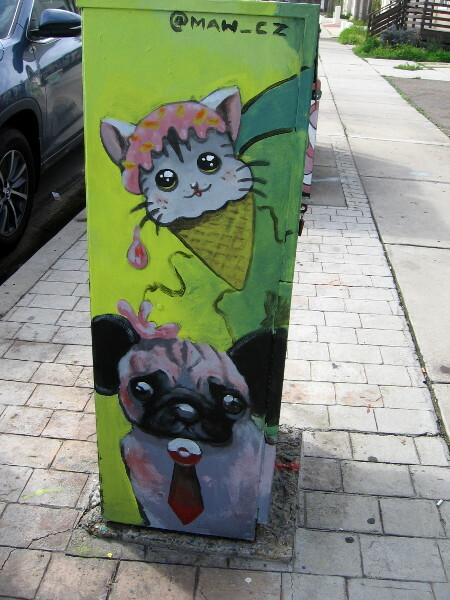 More cool street art in Normal Heights! 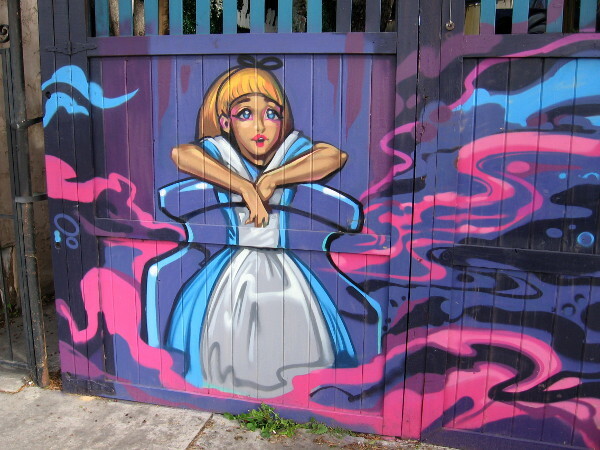 Alice gazes out at Adams Avenue from a fence behind White Rabbit Day Spa. 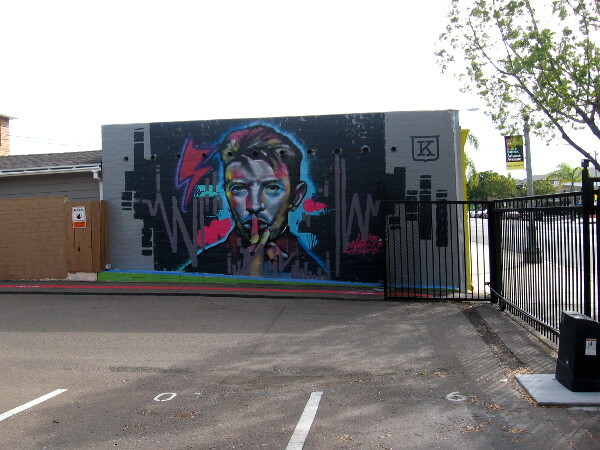 This morning I took a long walk down Adams Avenue in Normal Heights. 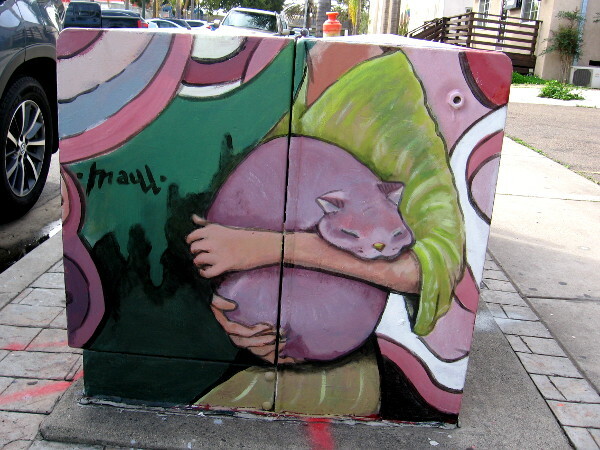 I was pleased to discover all sorts of new murals and street art since the last time my camera passed this way, about a year and a half ago. 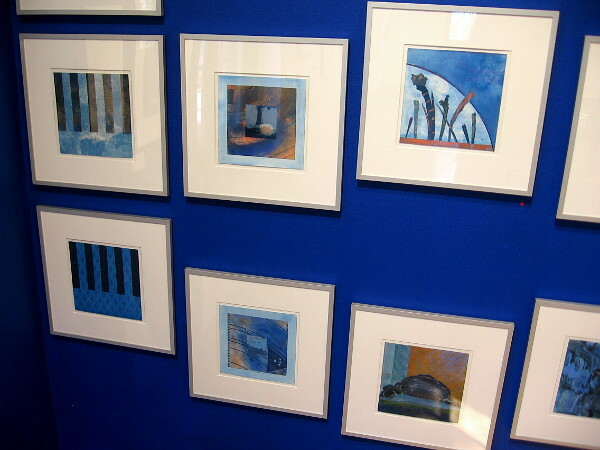 Check out all these photos of the cool artwork! 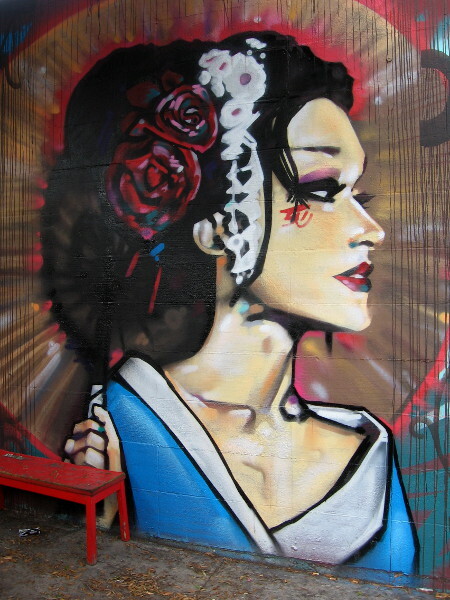 A beautiful new face has replaced a similar mural between Adams Avenue Tattoo and the El Zarape restaurant. 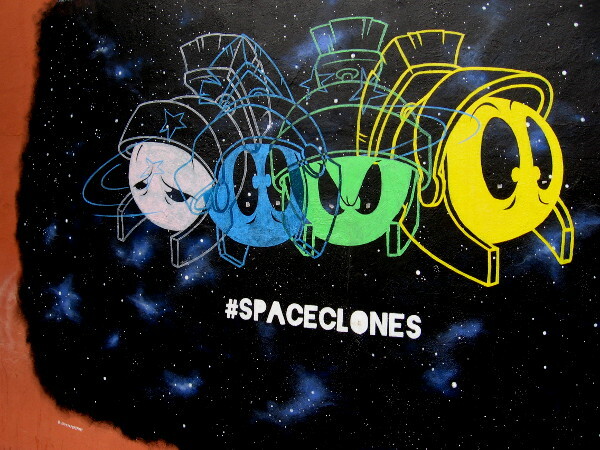 The #SPACECLONES have invaded Normal Heights! 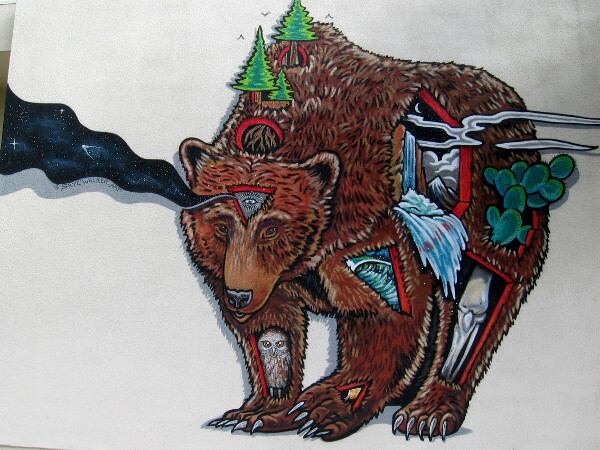 An abstract bear mural by @SKYEWALKER_ART appears to contain lots of nature symbolism. 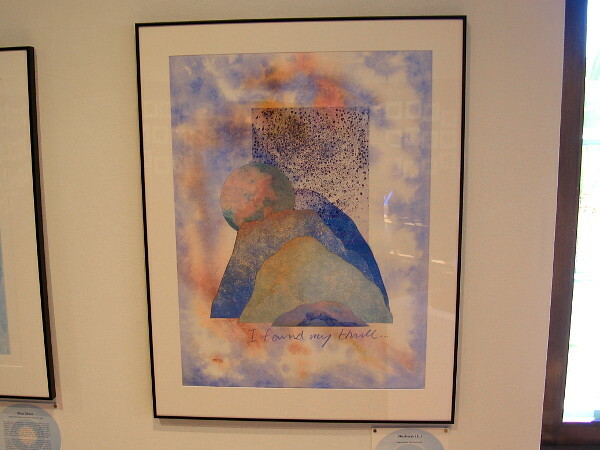 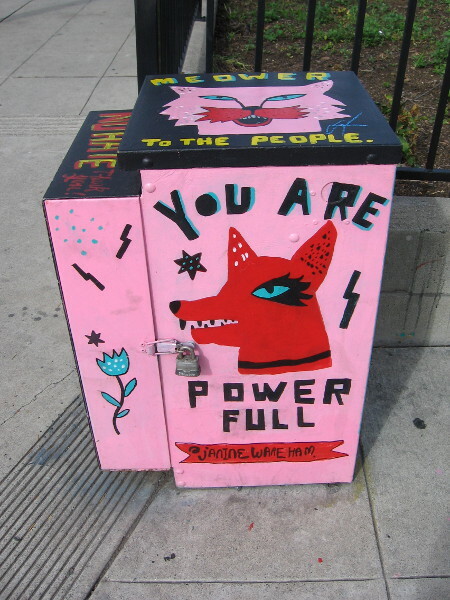 YOU ARE POWER FULL by Janine Wareham. 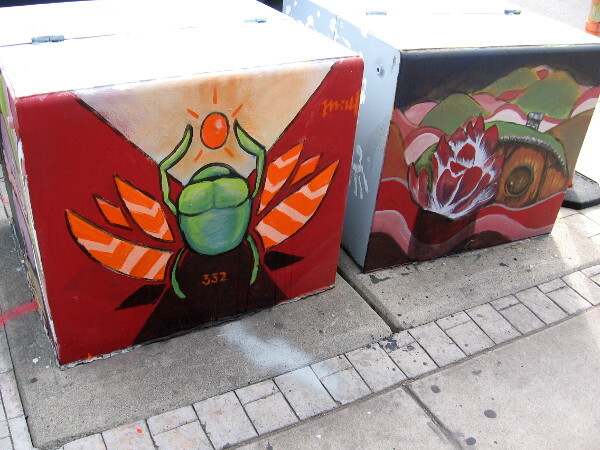 A colorful mural on the side of Konrad+King always attracts my attention when I’m driving down Adams Avenue. 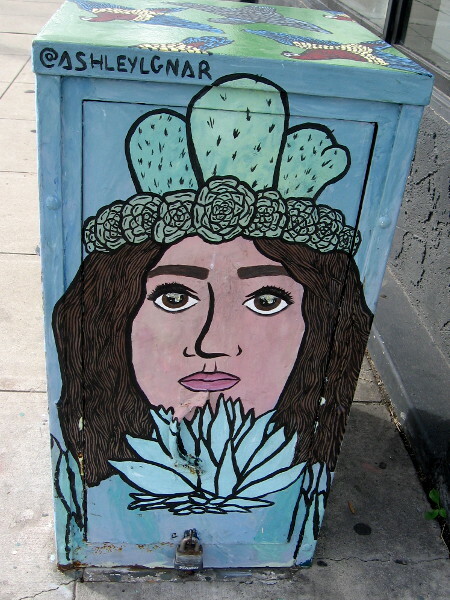 A very cool face in Normal Heights. 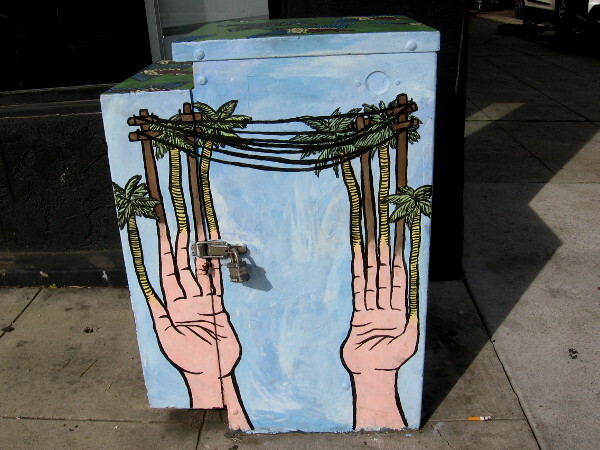 The fingers painted on this electrical box transform into palm trees and telephone poles! 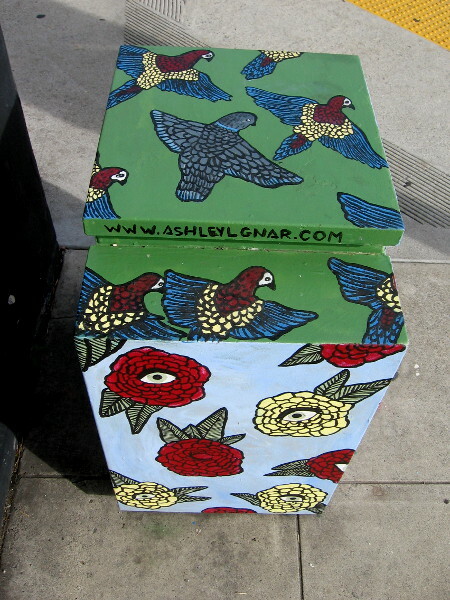 More cool street art along Adams Avenue in Normal Heights. 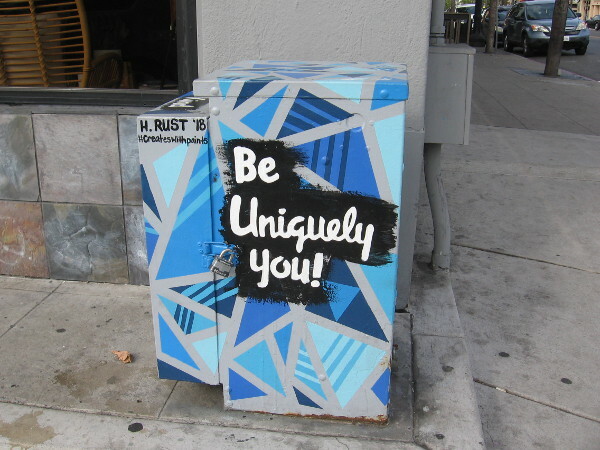 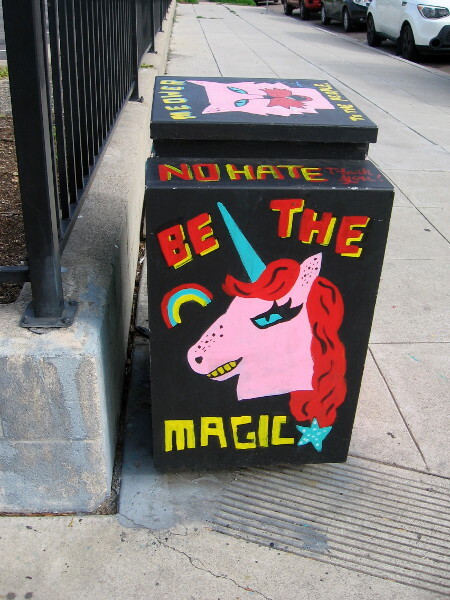 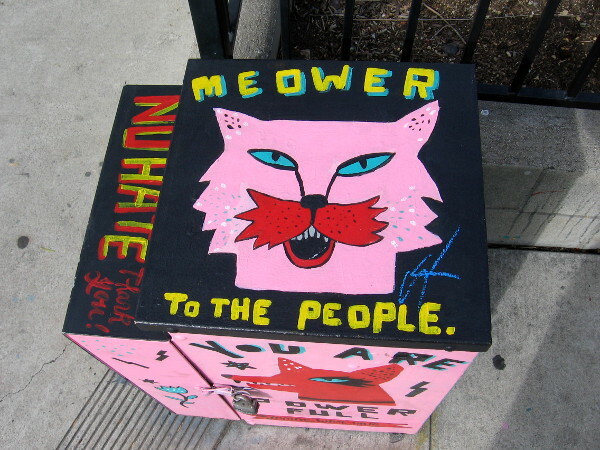 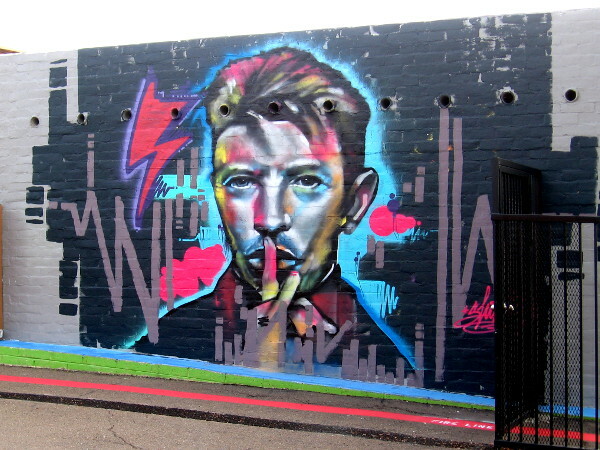 Posted on March 9, 2019 Tags art, artists, cool, creativity, imagination, murals, normal heights, photography, public art, spray paint art, street art, streets, urban art, walking1 Comment on More cool street art in Normal Heights! 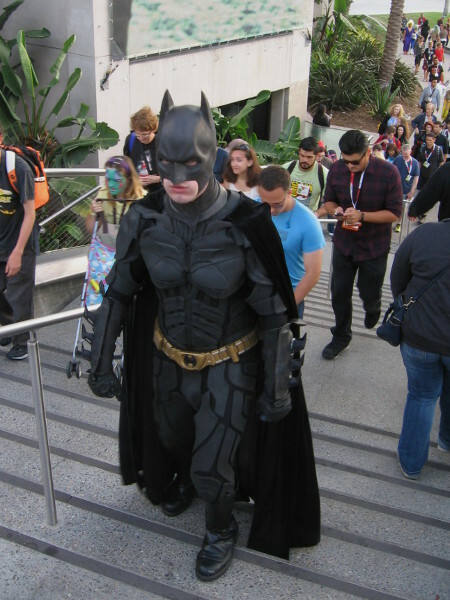 See the Comic-Con Museum’s first exhibition! 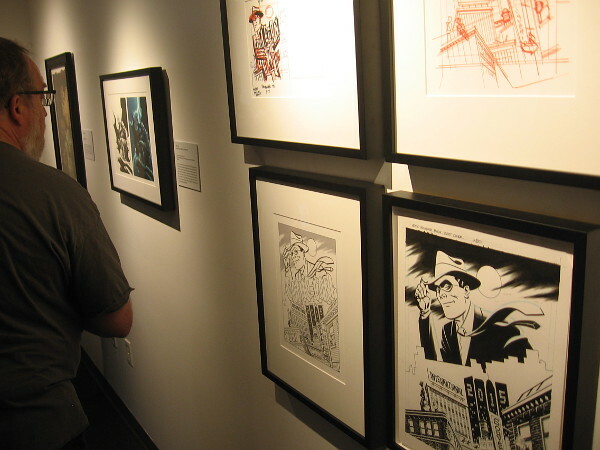 If you happen to be in San Diego the next few weeks, you have an awesome opportunity to see the Comic-Con Museum’s very first exhibition! 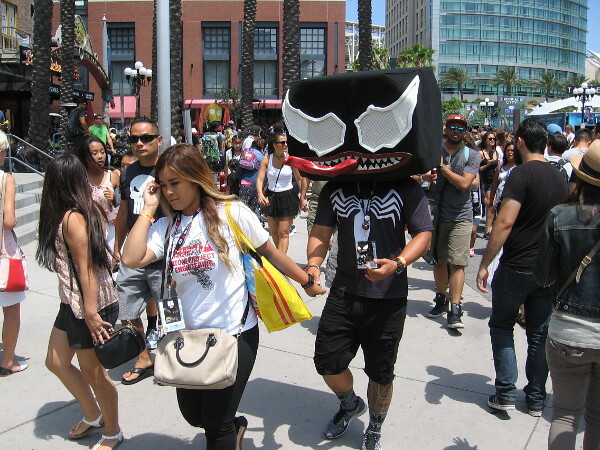 It’s titled Cover Story: The Art of Comic-Con 50. 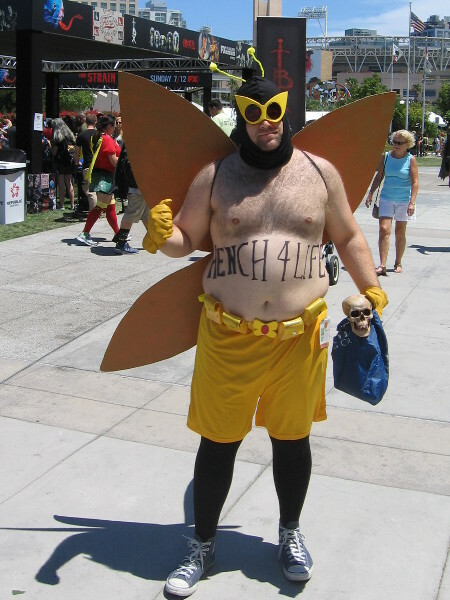 Why that name? 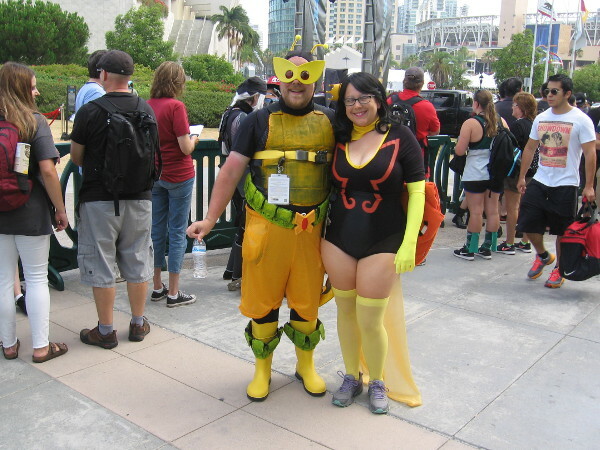 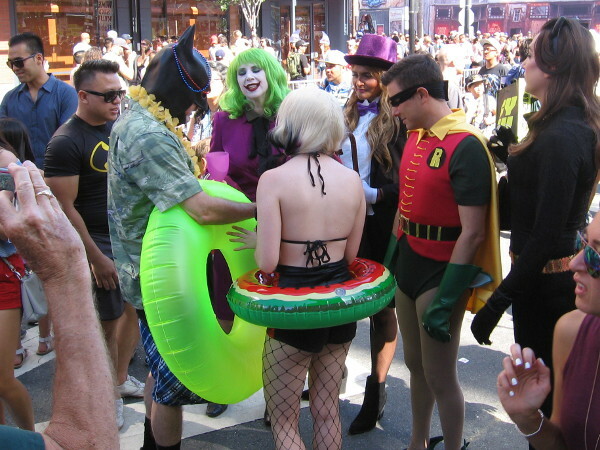 This year will be the 50th Anniversary of San Diego Comic-Con! 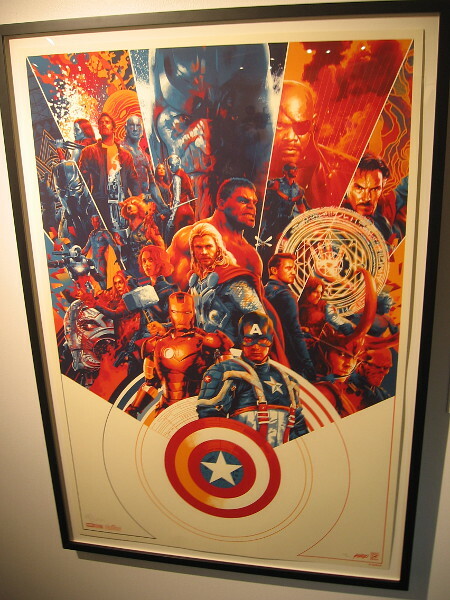 Today I enjoyed the big opening of the exhibition, which can be viewed in one room of the Federal Building in Balboa Park, future home of the Comic-Con Museum. 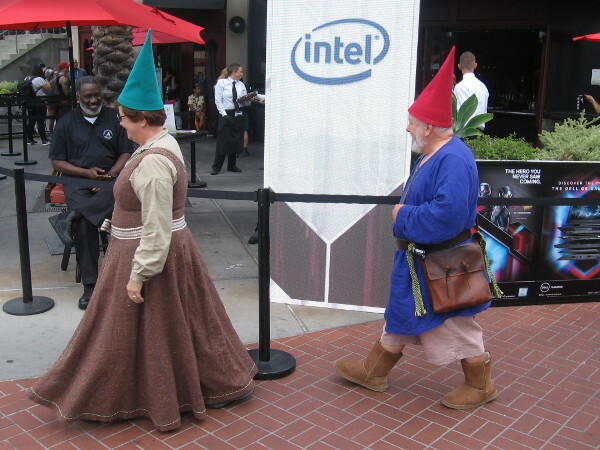 Lots of other excited people were in attendance. 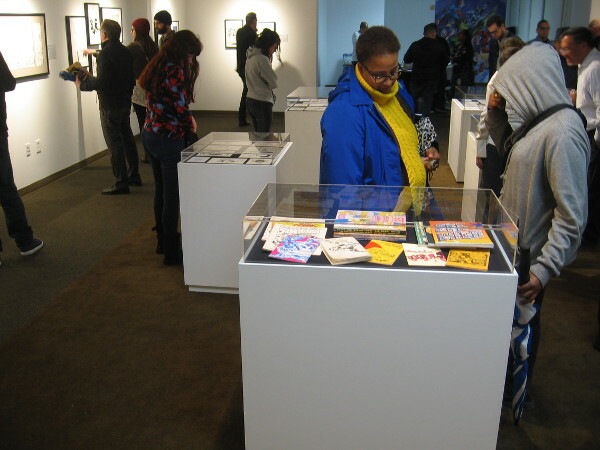 After listening to a few words by those who are shaping the museum’s future, we all headed into the temporary gallery. 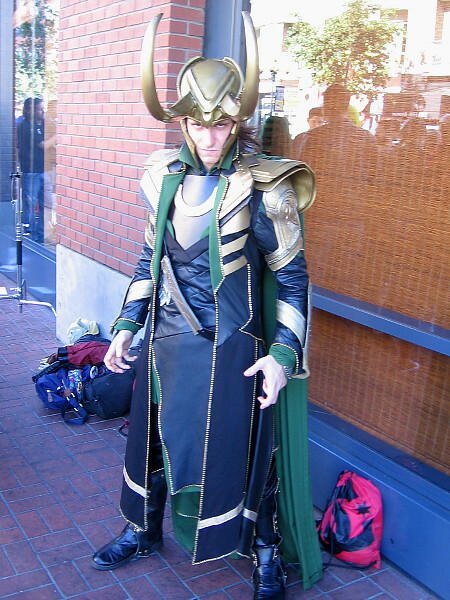 My photos provide a hint of what you’ll find. 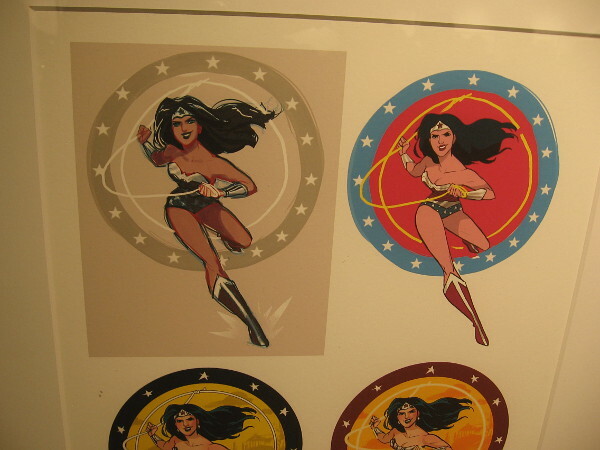 It’s a bit like the Art of Comic-Con exhibition several years ago at the San Diego Central Library, but the emphasis this time is on original art used for the covers of Comic-Con souvenir program books. 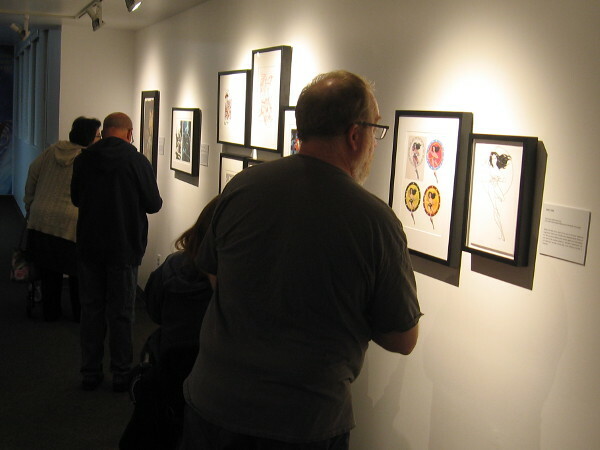 You’ll see everything from thumbnail sketches to pencil and ink art to stunning colored finished pieces. 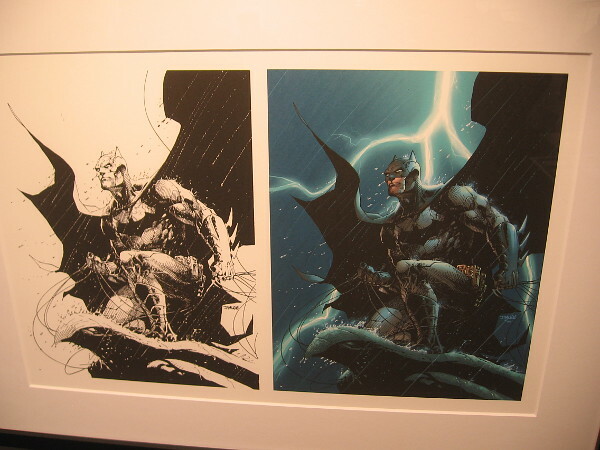 You’ll enjoy the work of many top artists, including names like Jack Kirby, Bruce Timm, Matt Taylor, Babs Tarr, Michael Cho, Jim Lee, John Romita, Jr., William Stout, Adam Hughes, Frank Miller, Bill Sienkiewicz, and Will Eisner. 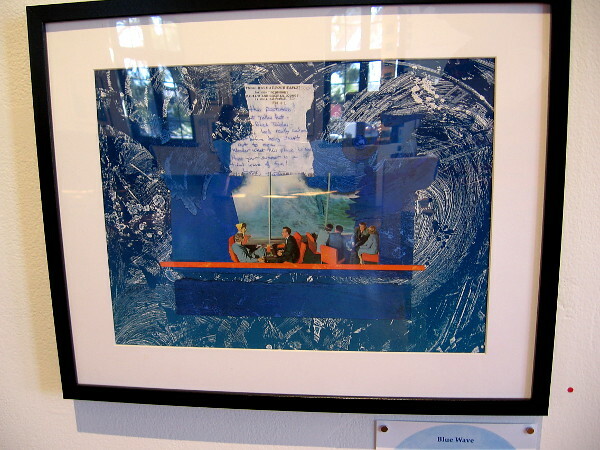 You’ll also smile at the work of creative children, who have a fun table in the gallery where they can draw their own covers! 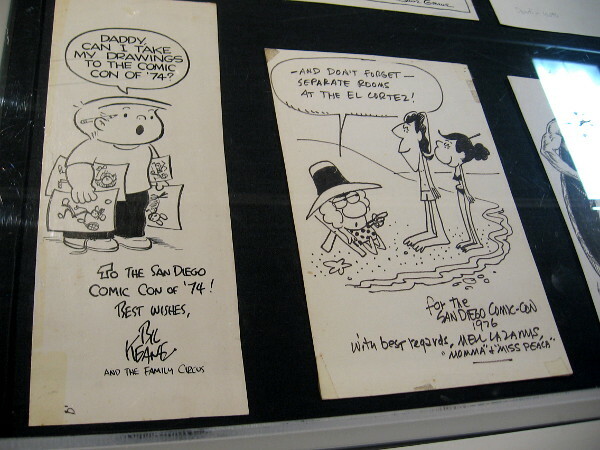 Finally, in several glass display cases you’ll find all sorts of souvenir program book interior artwork: original drawings by renowned artists, cartoonists and illustrators, who over the years have sent their greetings to Comic-Con! 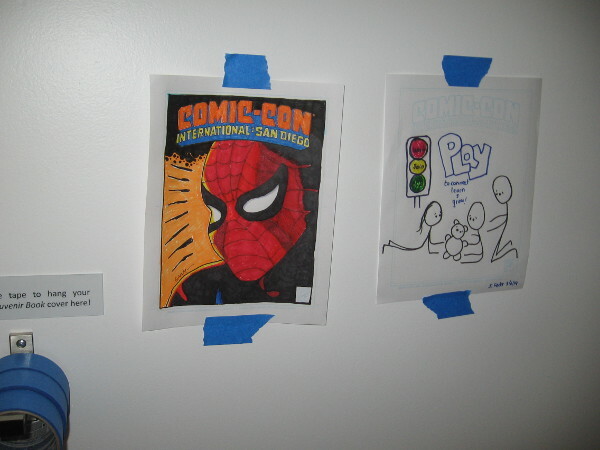 Posted on March 6, 2019 March 8, 2019 Tags art, artists, artwork, balboa park, comic books, comic-con, comic-con museum, comics, cool, creativity, events, imagination, pop culture, san diego2 Comments on See the Comic-Con Museum’s first exhibition!